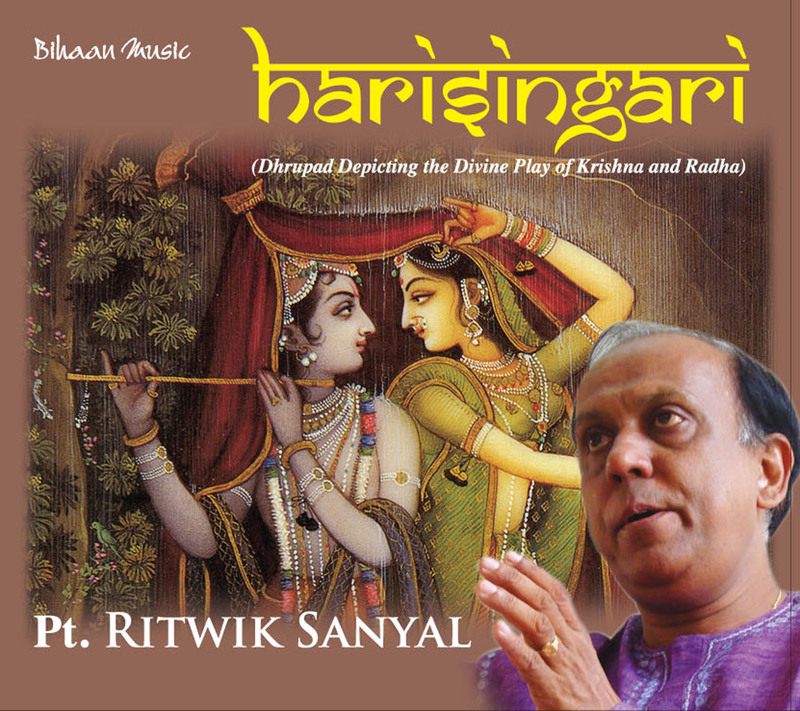 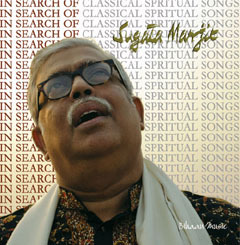 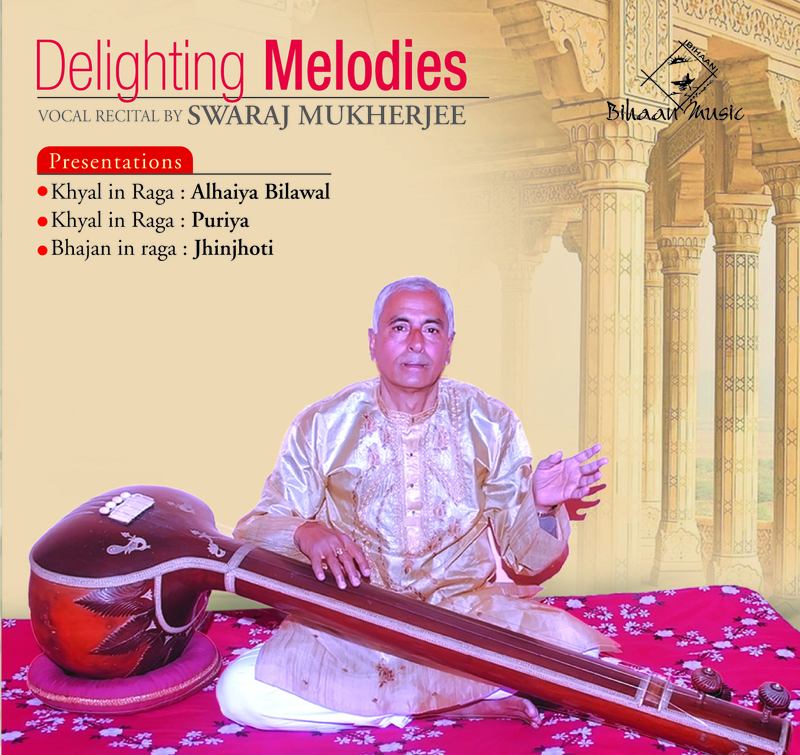 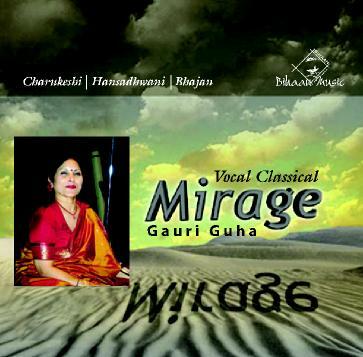 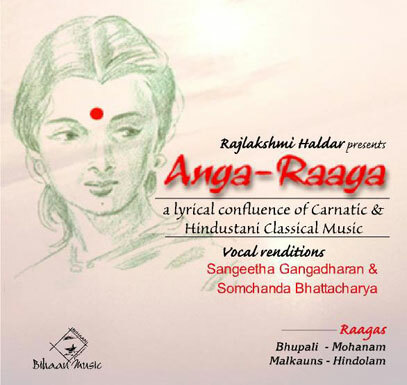 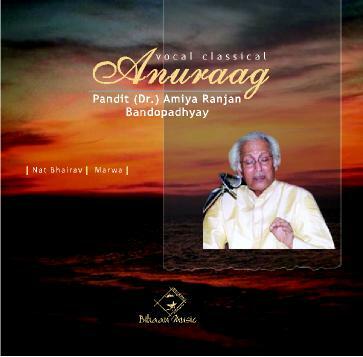 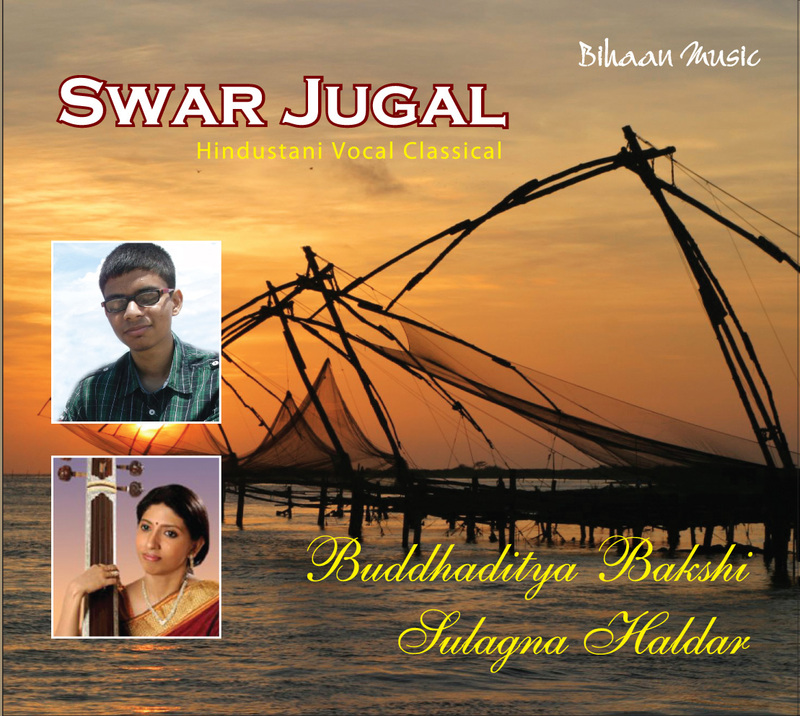 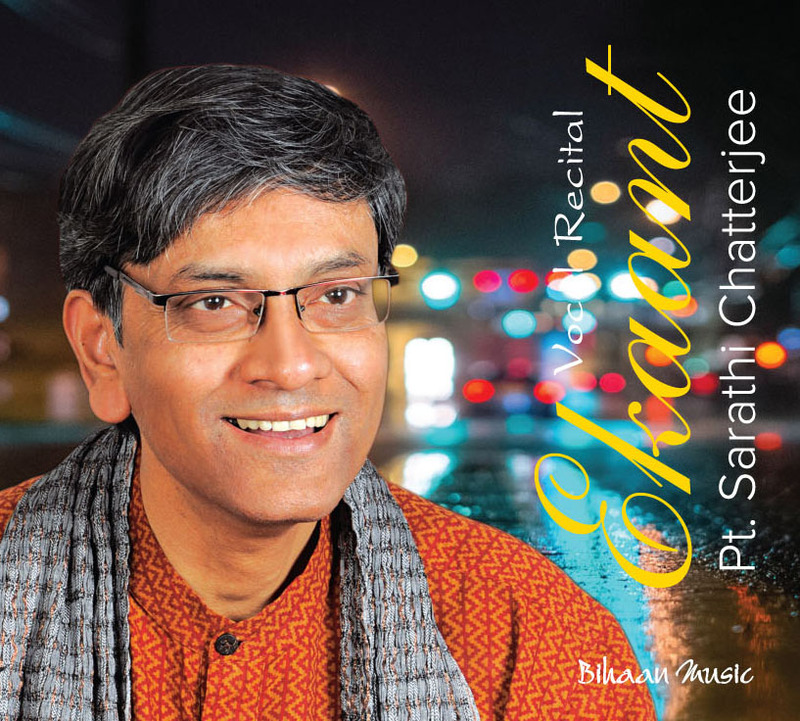 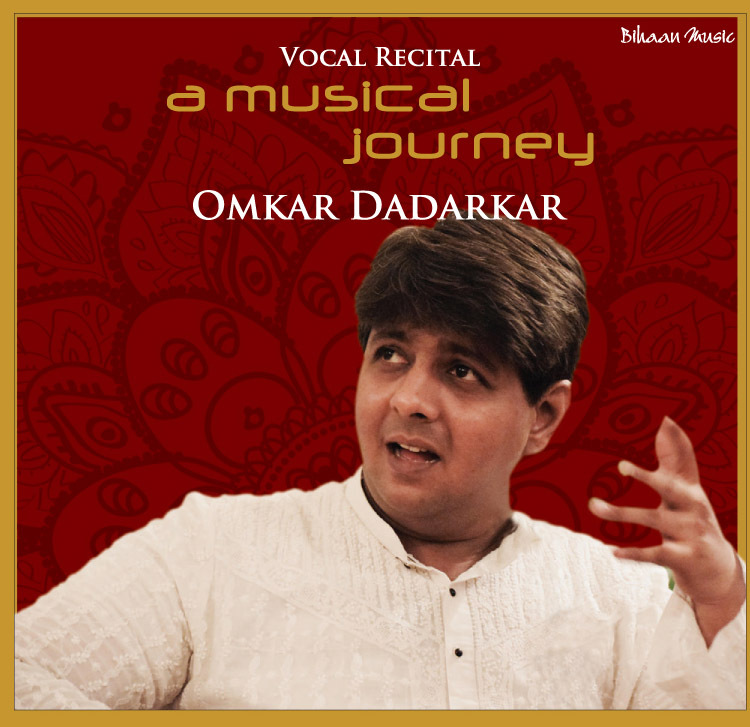 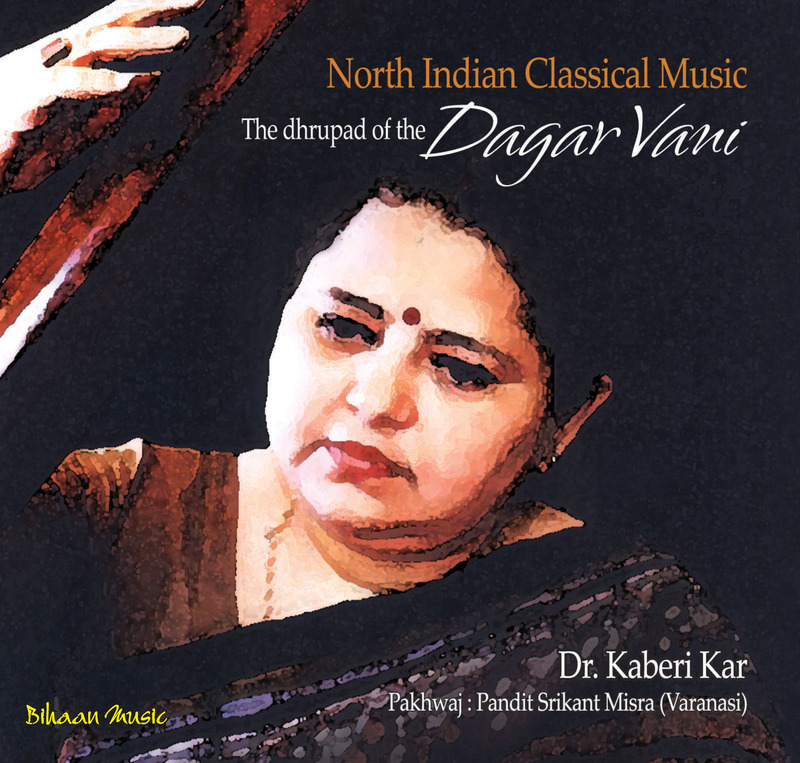 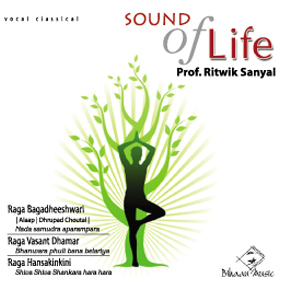 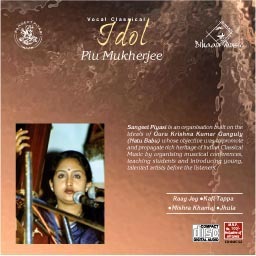 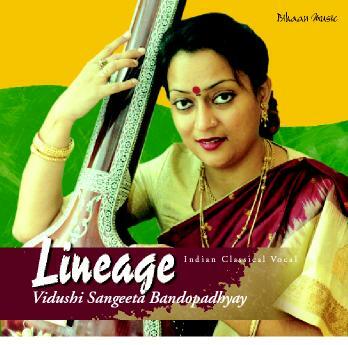 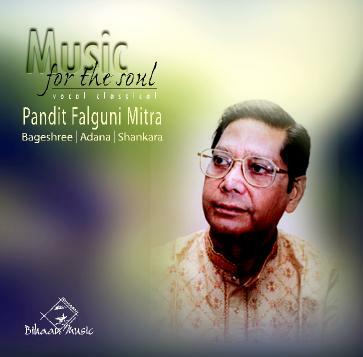 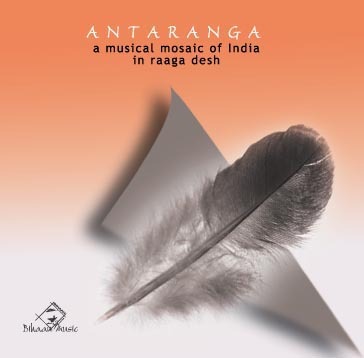 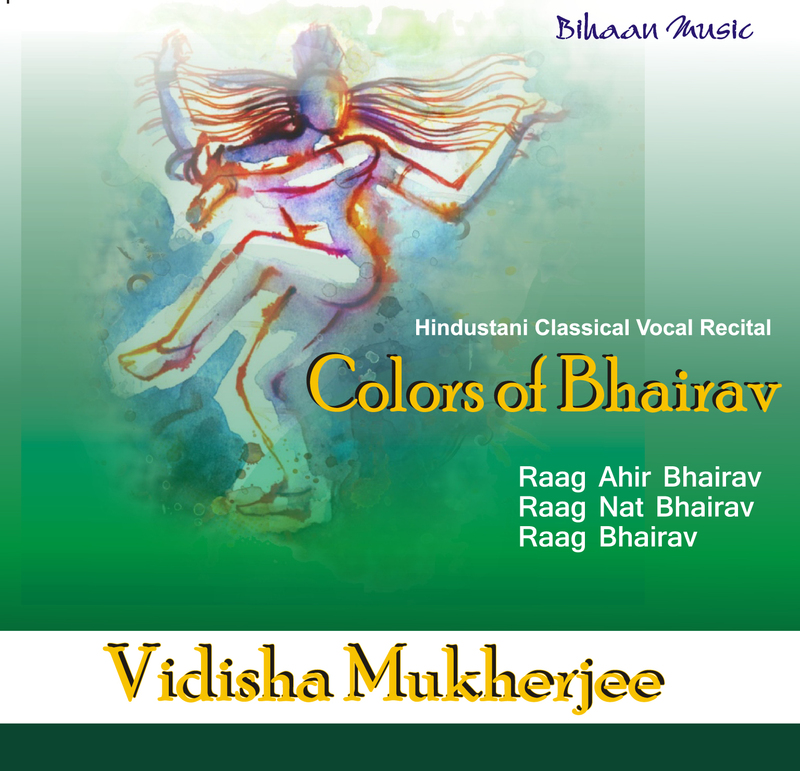 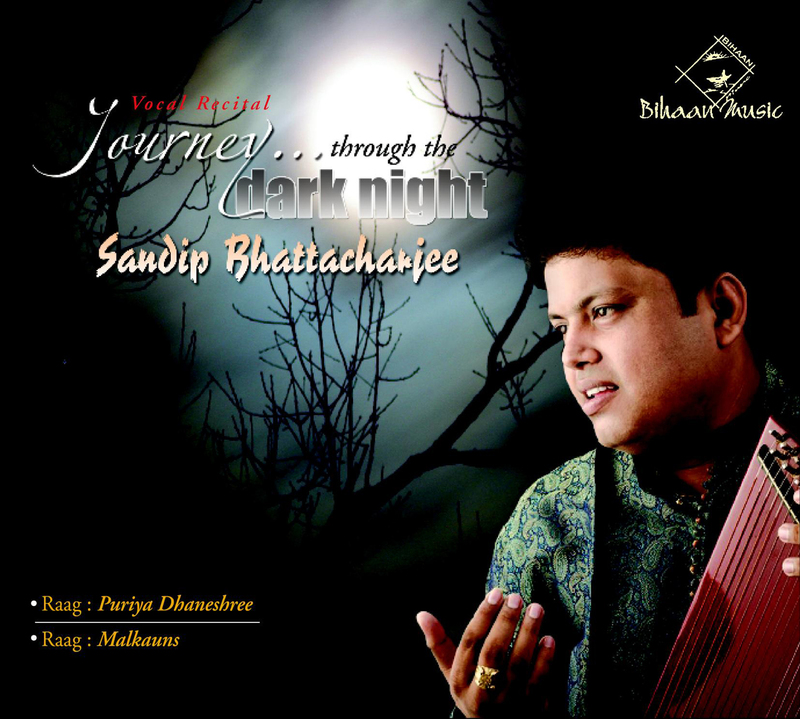 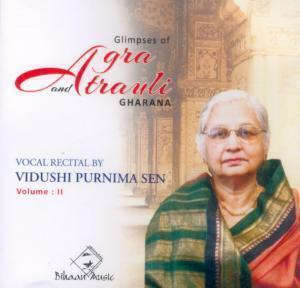 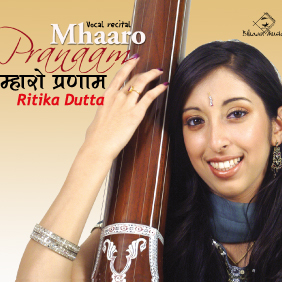 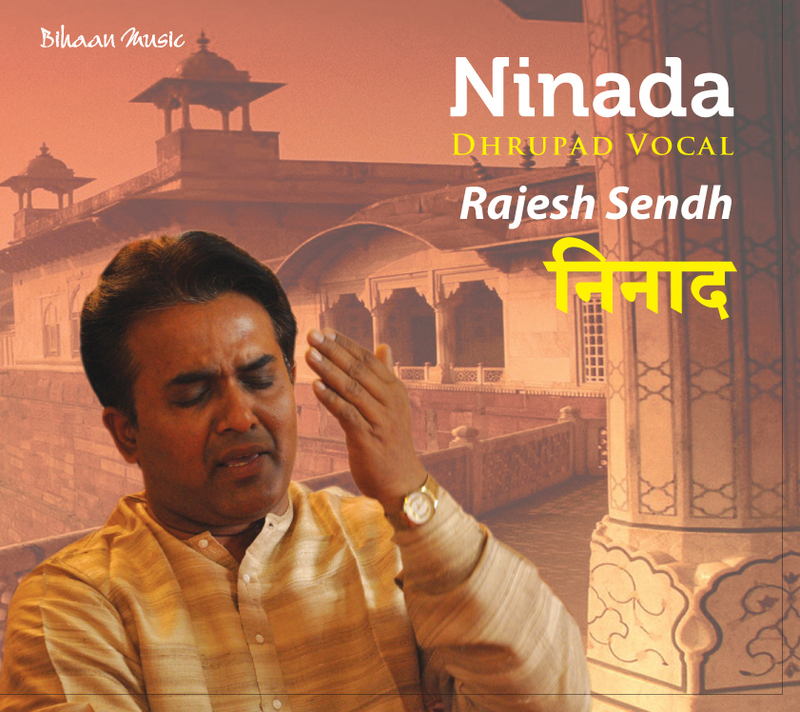 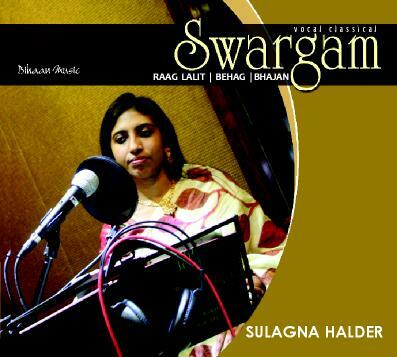 A Musical Mirage - an album of wonderful vocal recitals of Hindustani Classical Music based on Raag Puriya sung by Vidushi Kankana Banerjee. 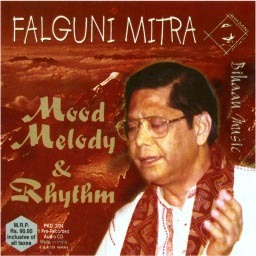 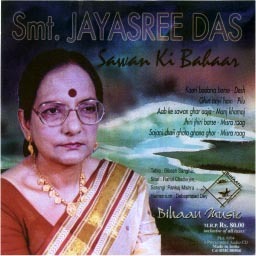 Born into an affluent business family in Calcutta, Smt. 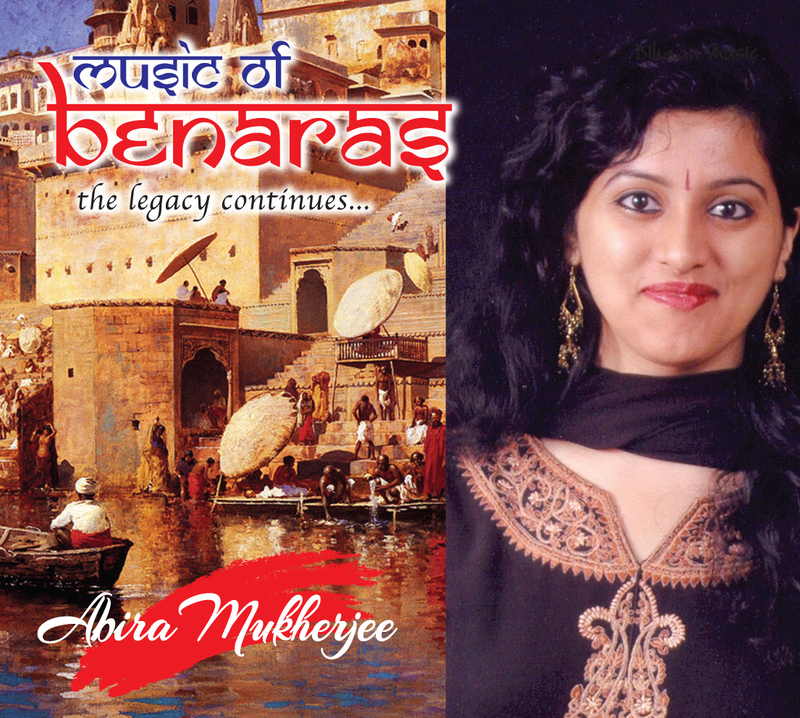 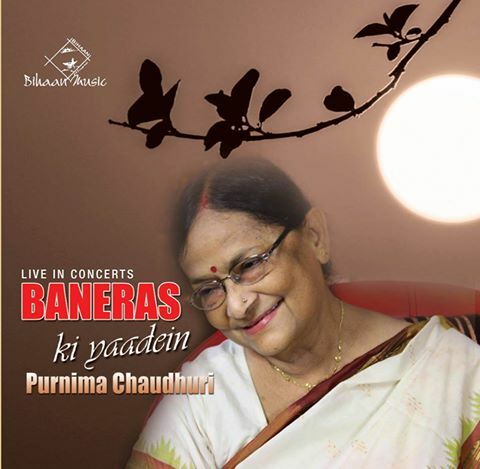 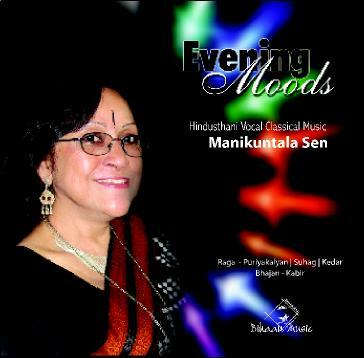 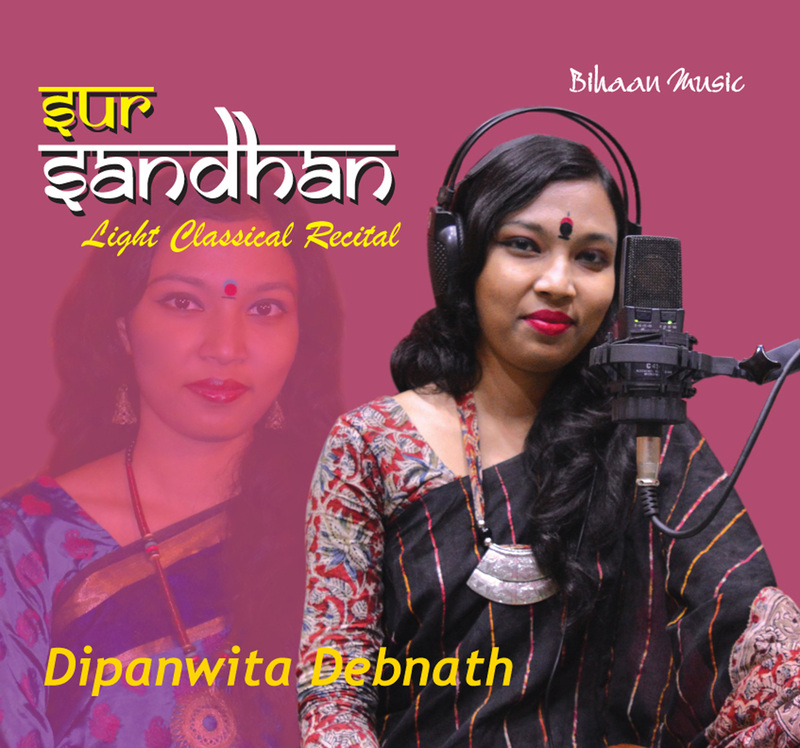 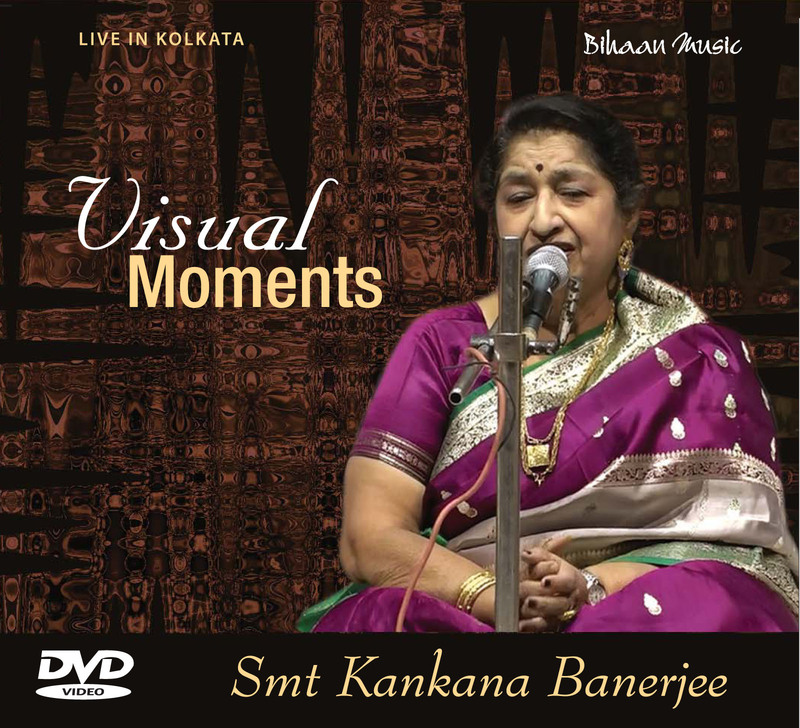 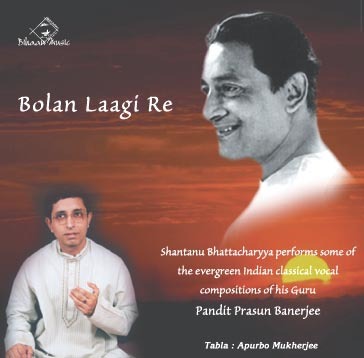 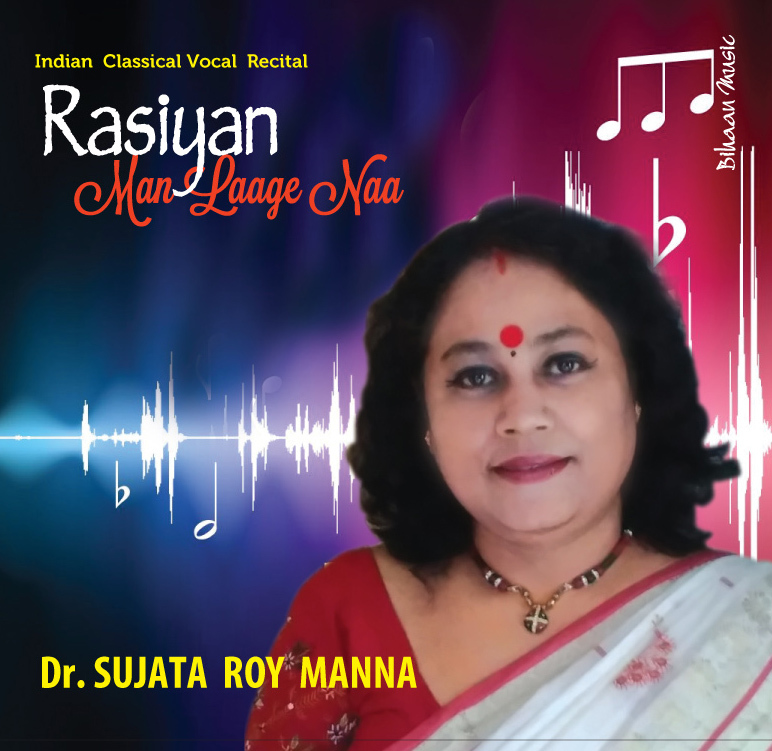 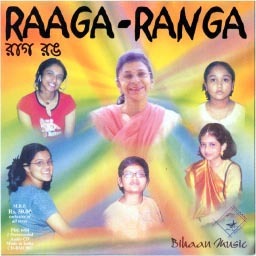 Kankana Banerjee inherited a keen sense of music during her childhood and had early lessons in classical Hindustani music from her mother, who was the eldest daughter of Late Dr. Radha Kamal Mukherjee, eminent thinker, sociologist and Ex Vice-chancellor of the University of Lucknow. 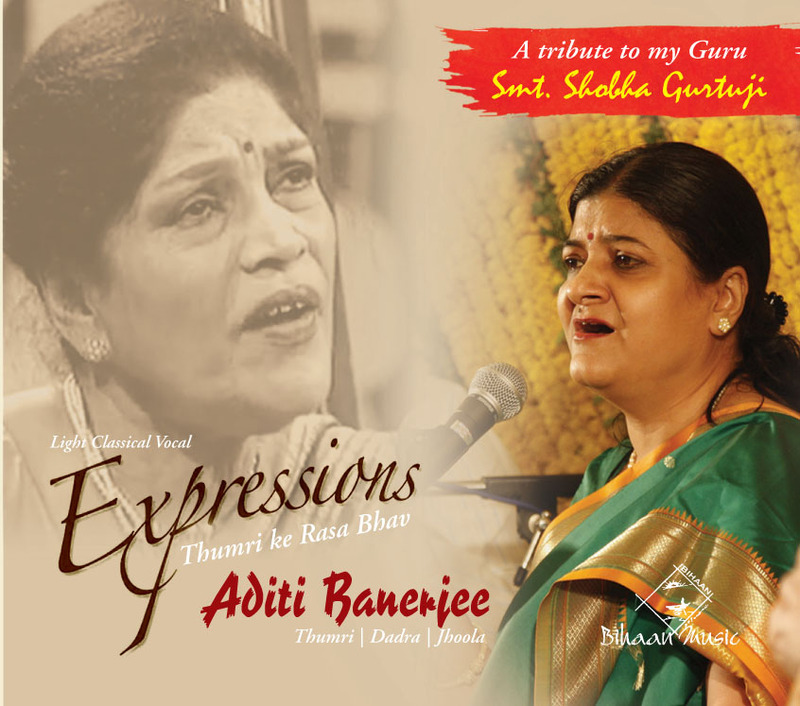 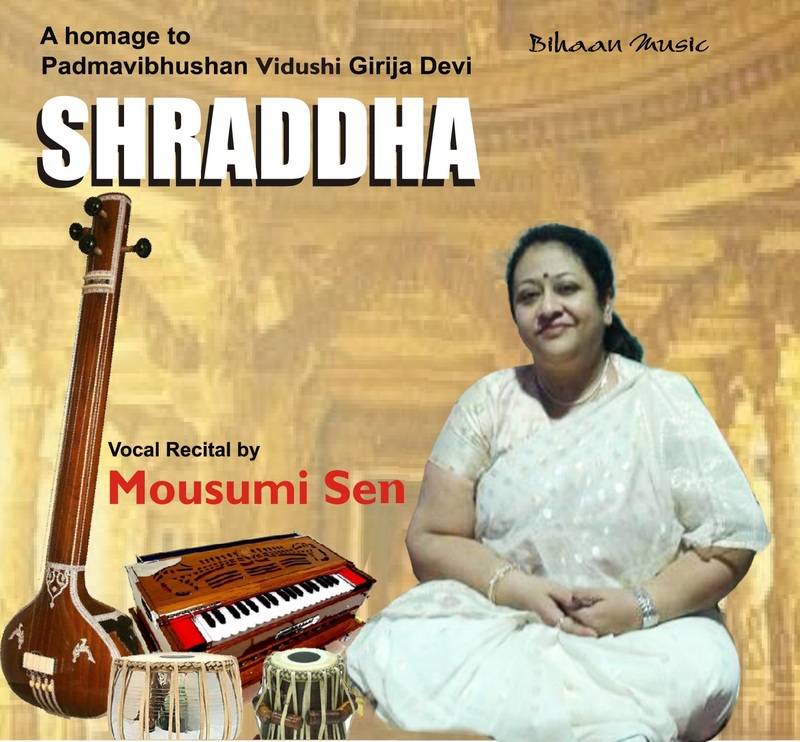 She soon began attending concerts with her mother, and it was it at one of these musical soirees that she got to hear the renowned vocalist, the late great Ustad Amir Khan of Indore. 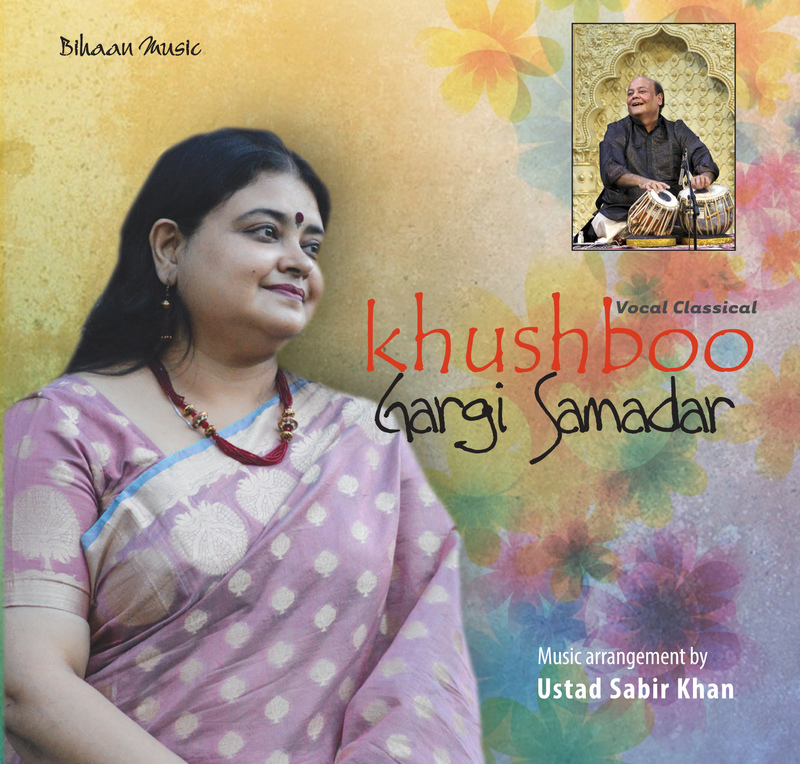 When Kankana was a child, she had the privilege to be introduced to Ustad Amir Khan. 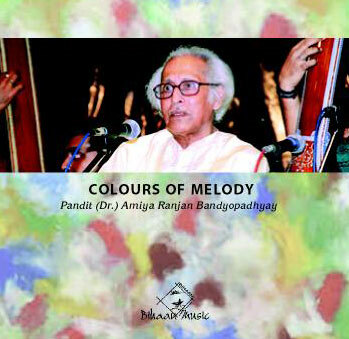 In a very informal gathering, the maestro discovered in Kankana an in-born musical talent. 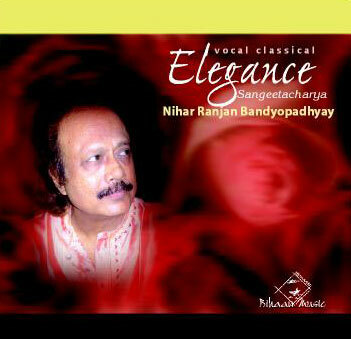 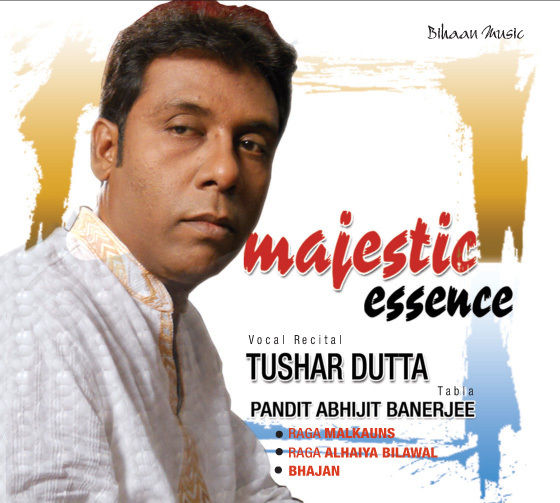 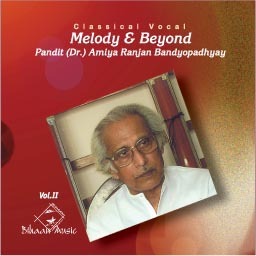 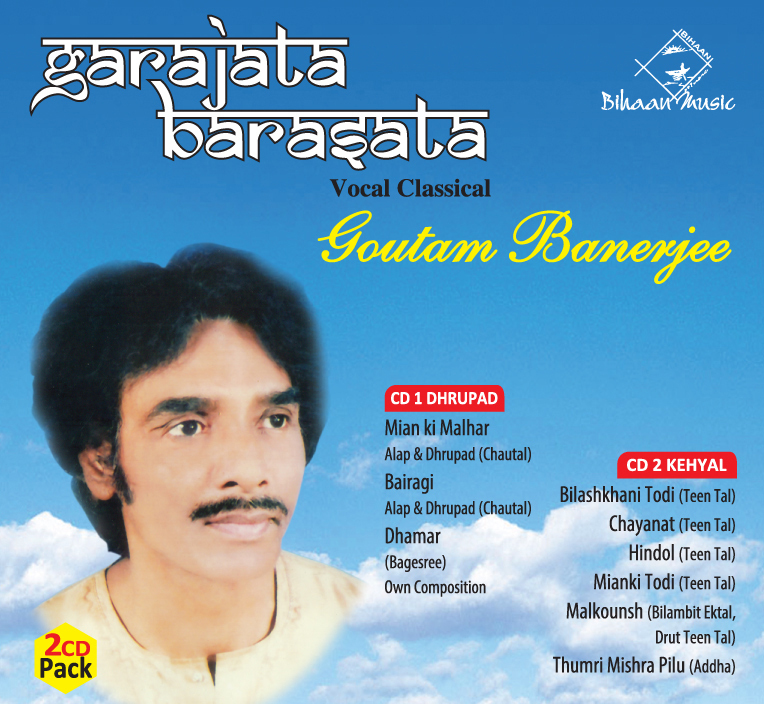 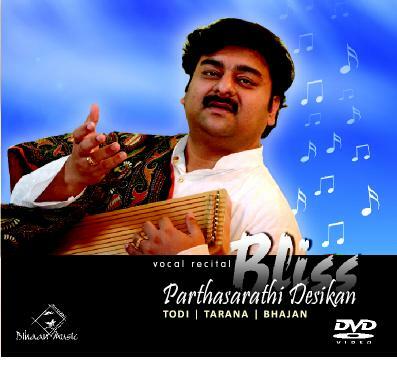 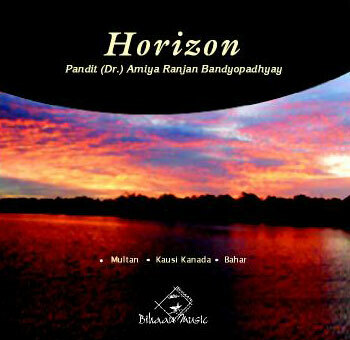 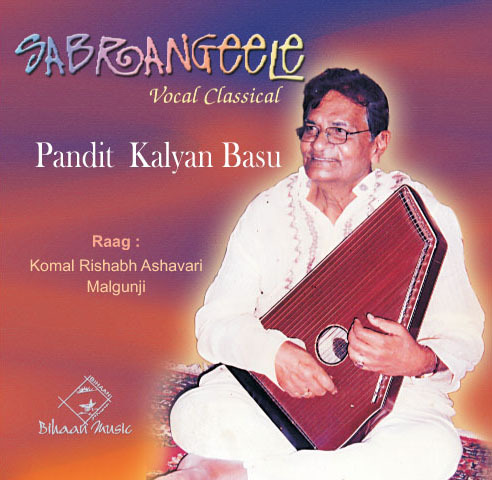 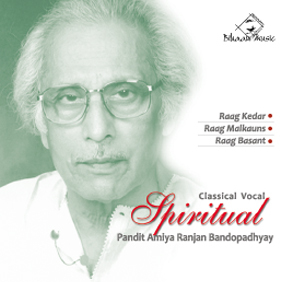 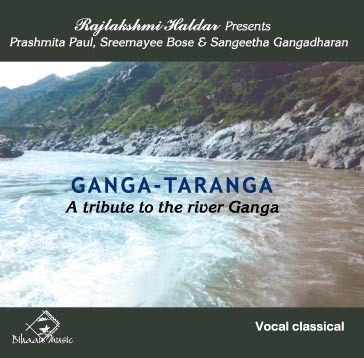 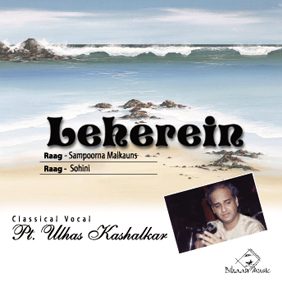 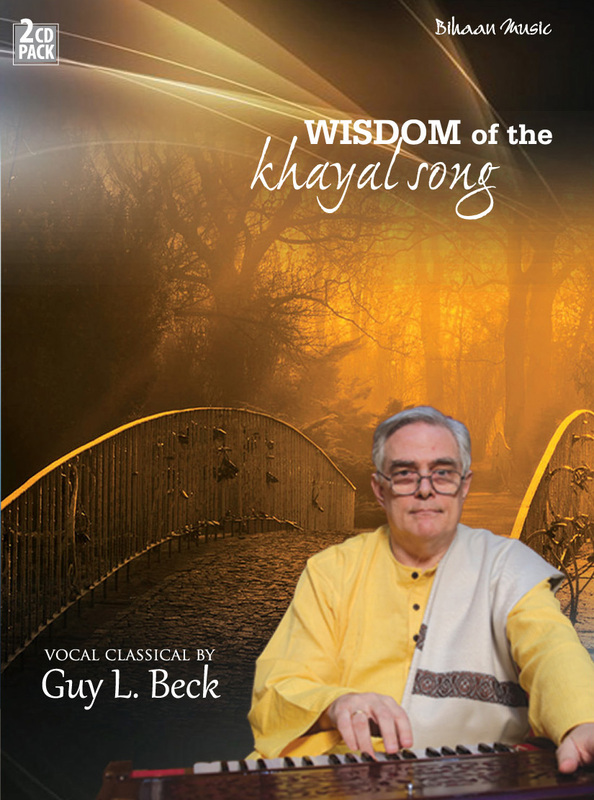 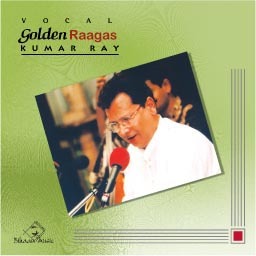 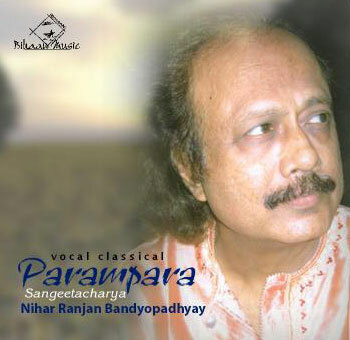 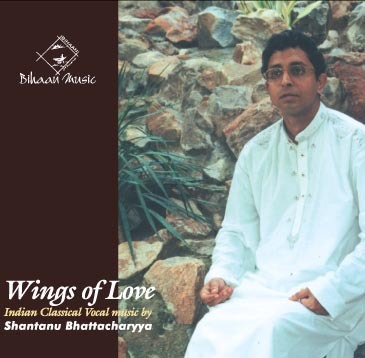 In turn, Kankana won his heart by her skillful attachment to the masterly tunes of the maestro. 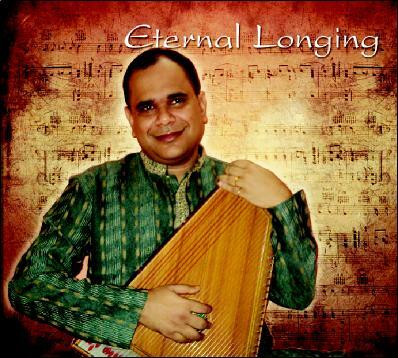 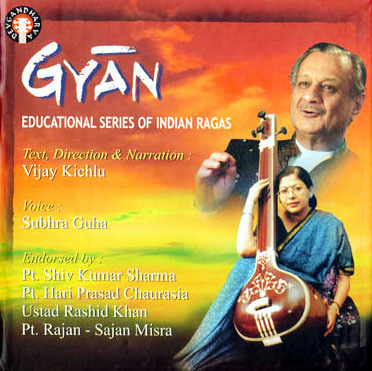 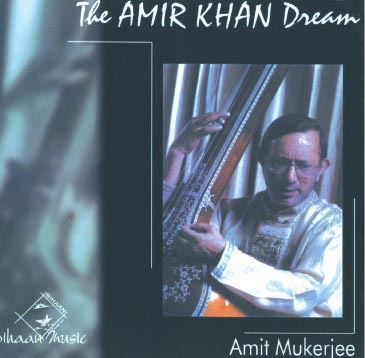 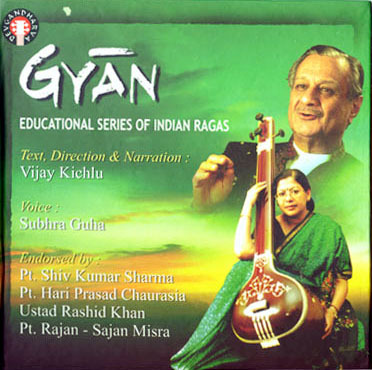 Eventually it became apparent that Ustad Amir Khan was looking for a disciple to whom he could impart his own ideas of music to be carried on to the next generation. 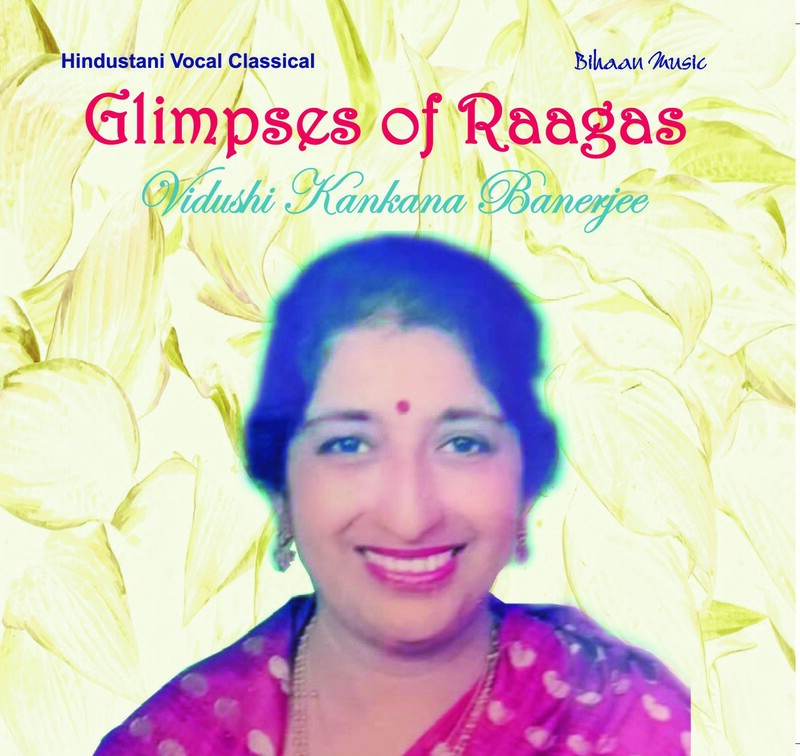 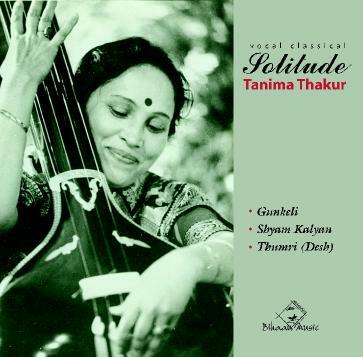 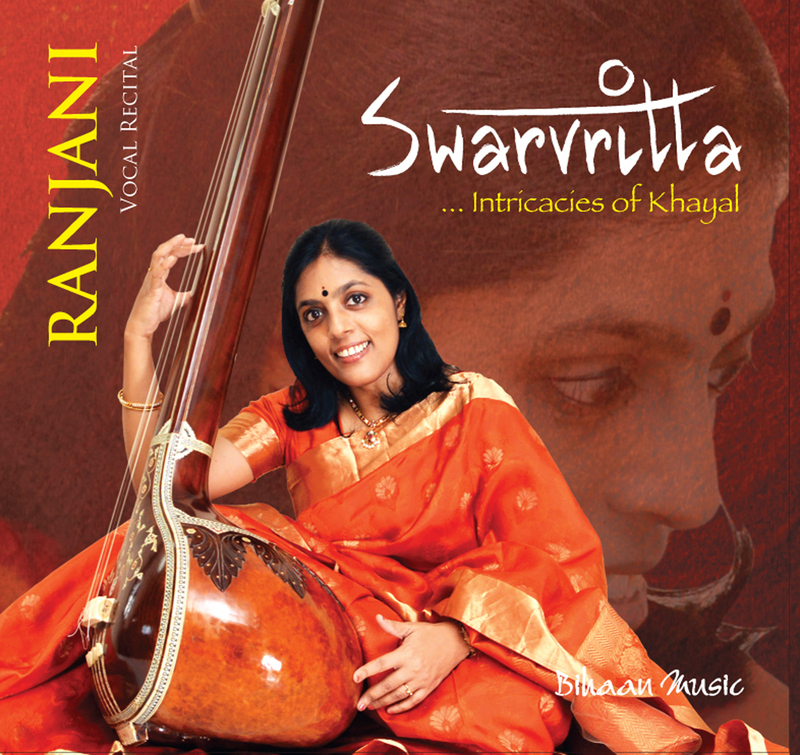 Gifted with a sweet and sonorously rich voice stretching over an amazing wide range, Kankana would, in turn, fathom the intricacies of Indore Gharana originated by her “Guru”. 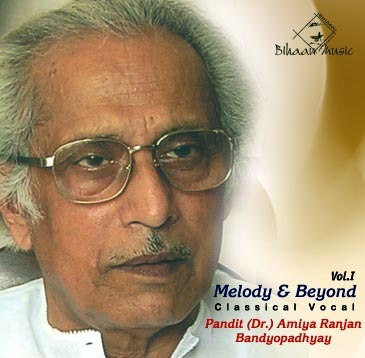 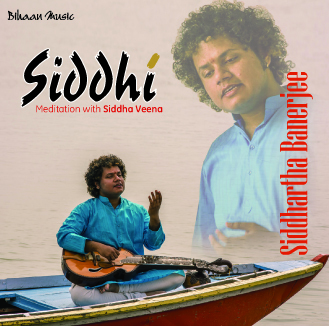 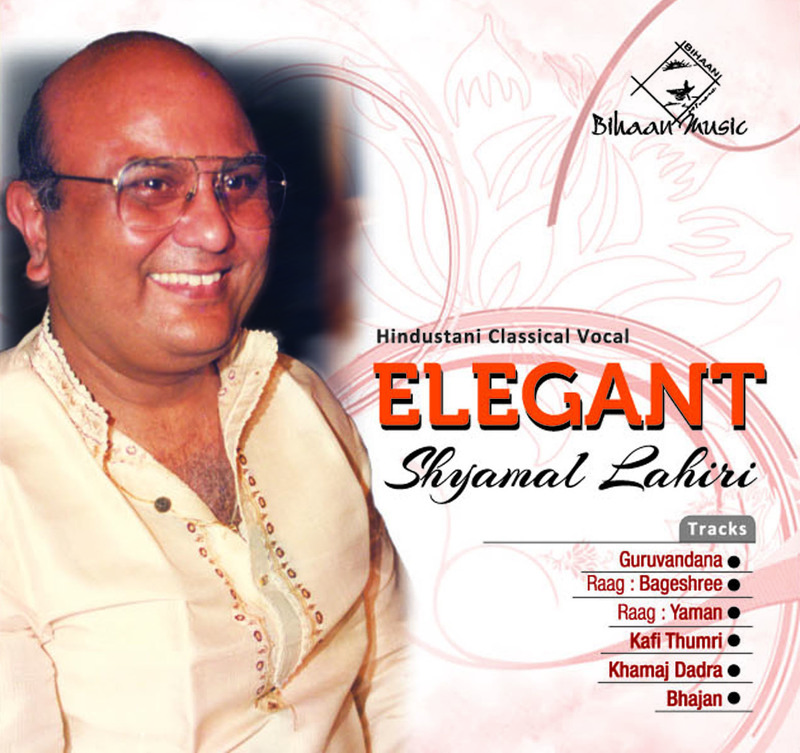 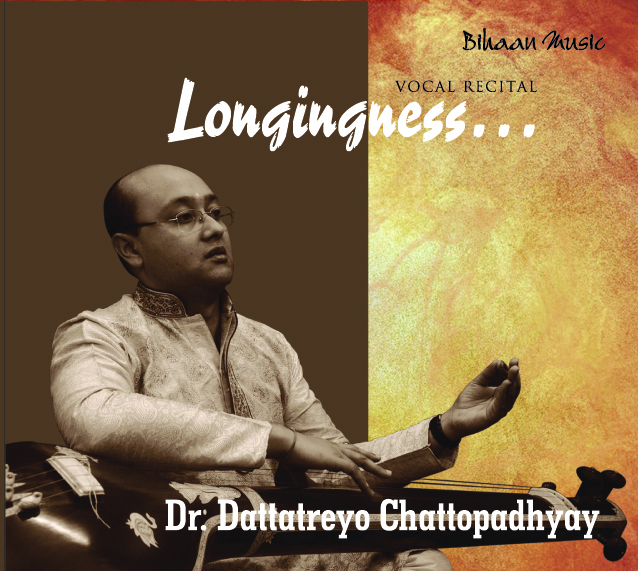 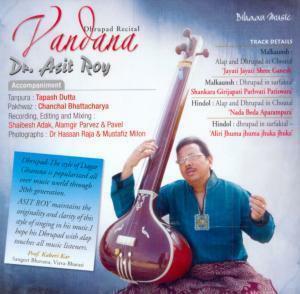 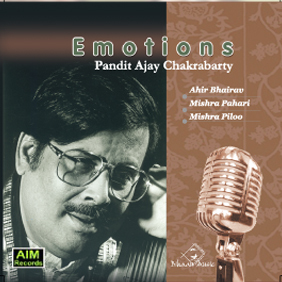 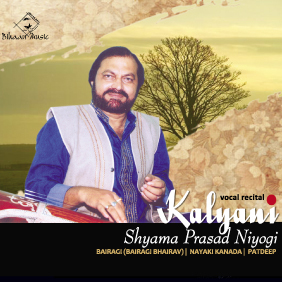 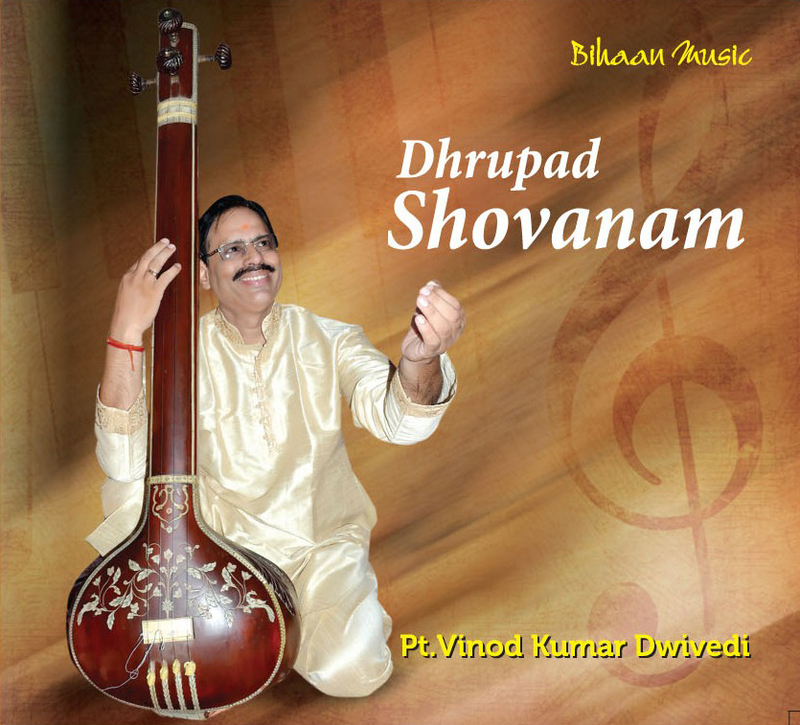 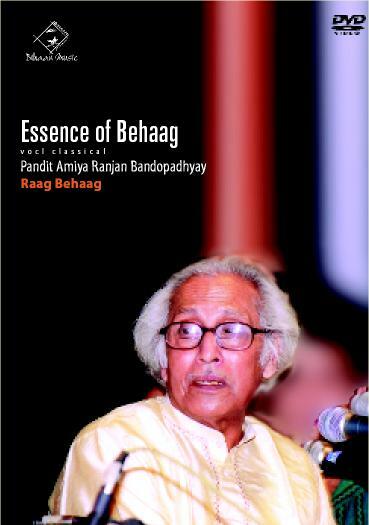 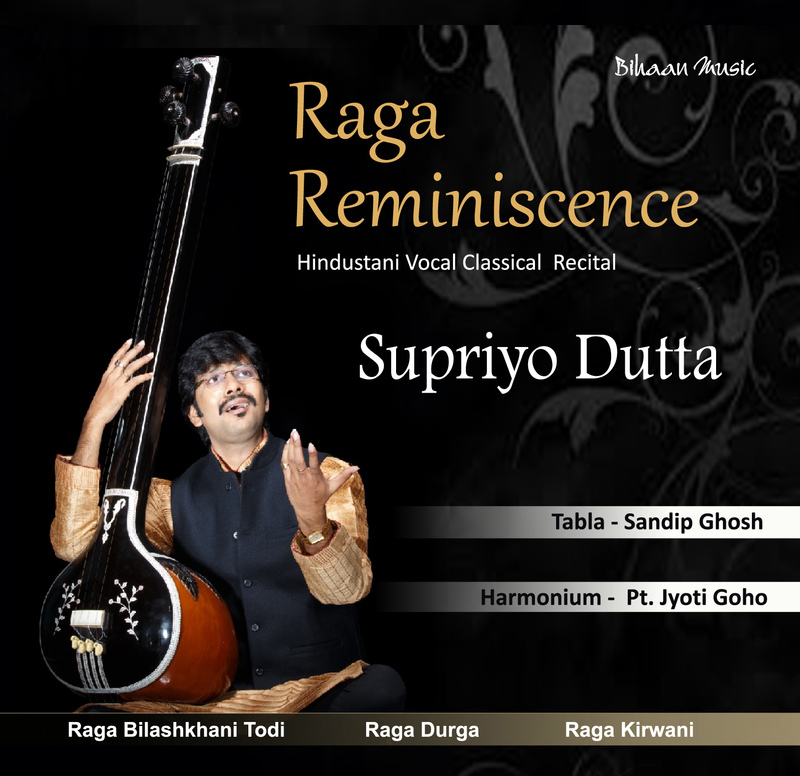 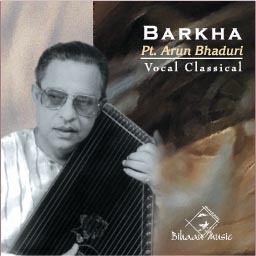 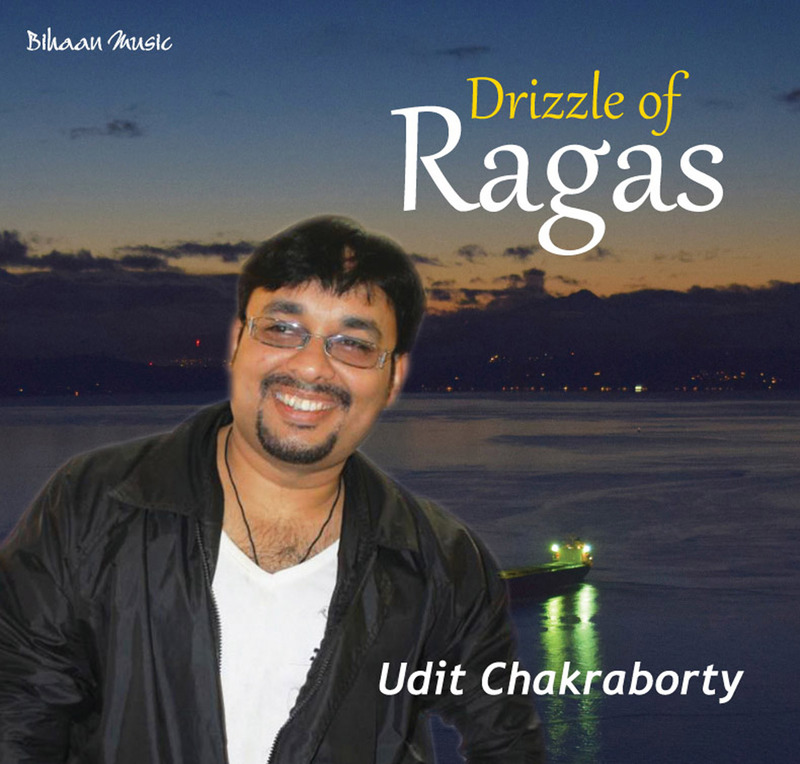 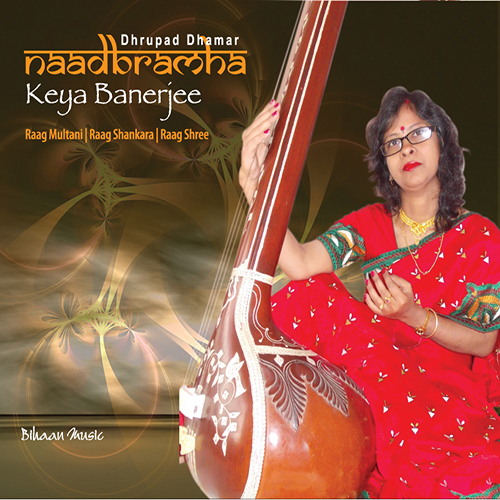 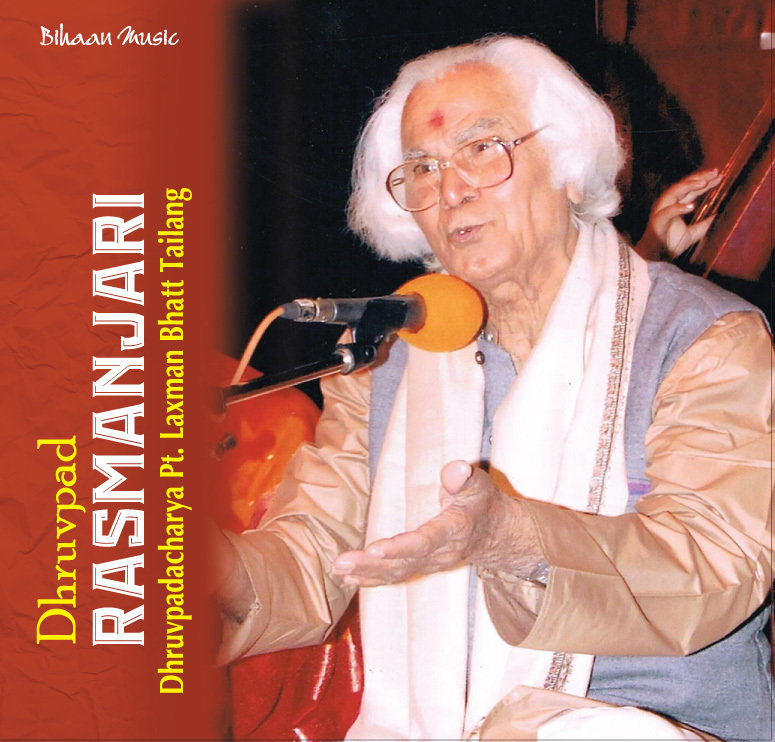 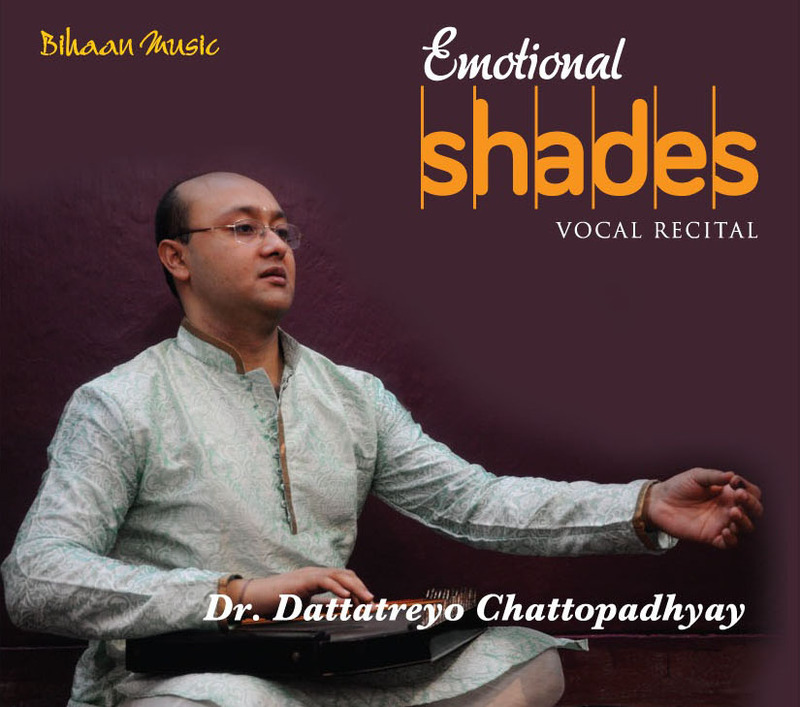 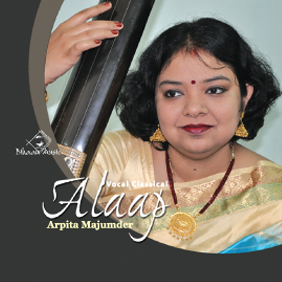 Ustad Amir Khan took intensive care during the formative period of her musical career to see that this young talent won a cherished place in the sphere of Hindustani classical music. 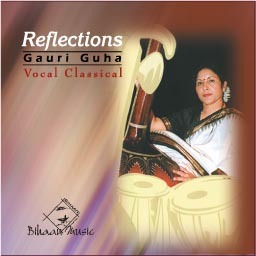 Kankana gave her first public performance at the tender age of fourteen. 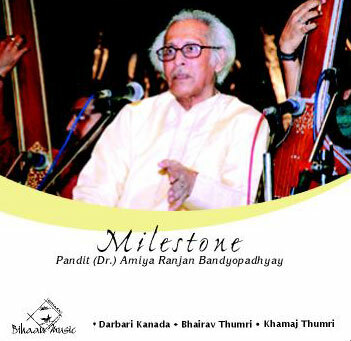 That was just a stepping stone on the road to a long career of successes. 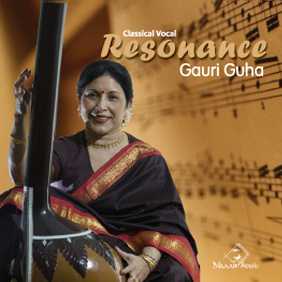 She has come a long way since then, having participated in prominent music conferences all over India and abroad, much to the admiration of music lovers. 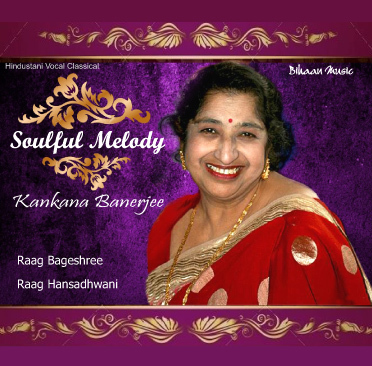 Kankana has many records, audio cassettes, and compact discs to her credit. 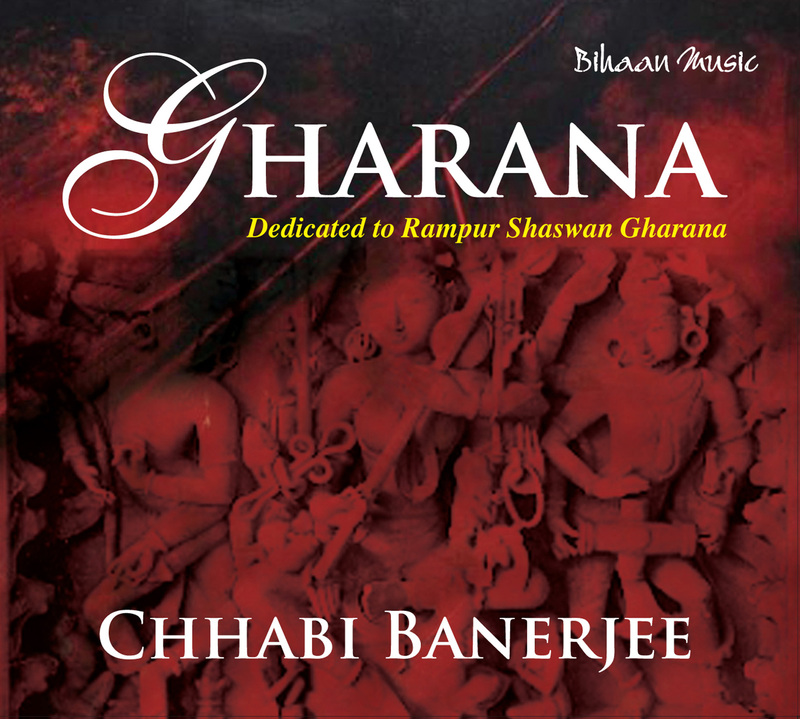 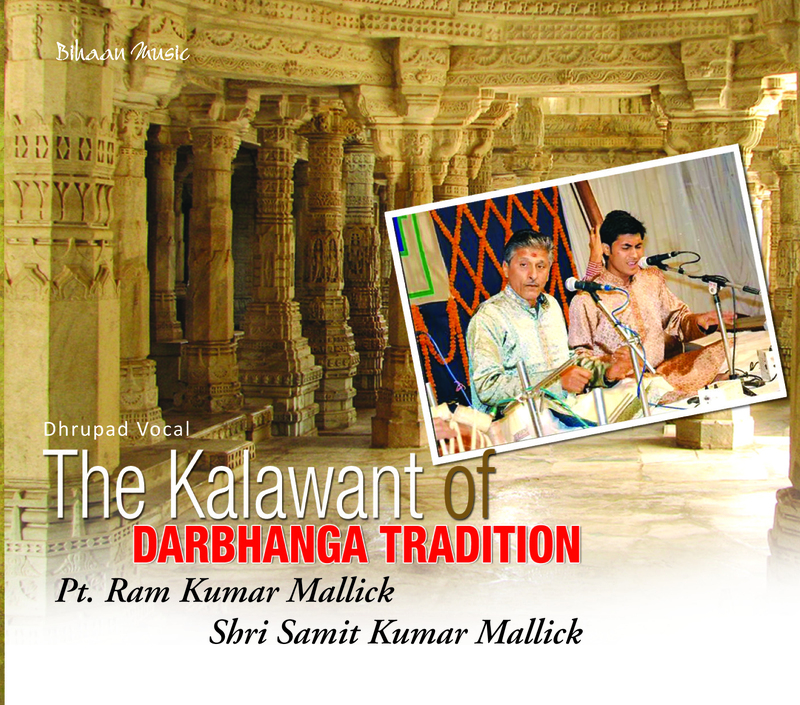 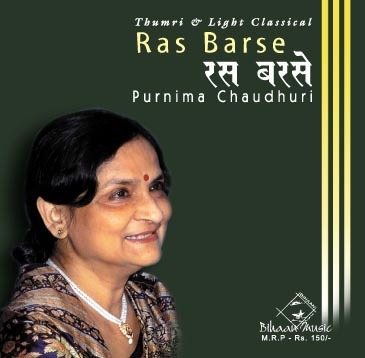 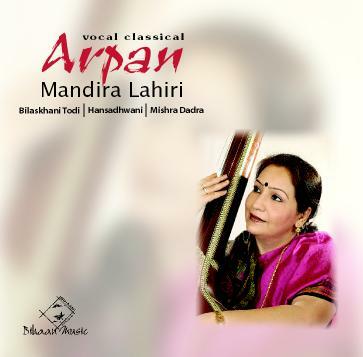 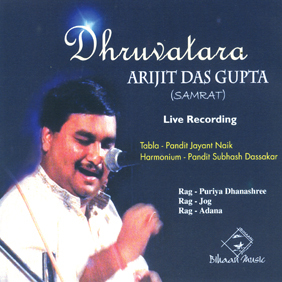 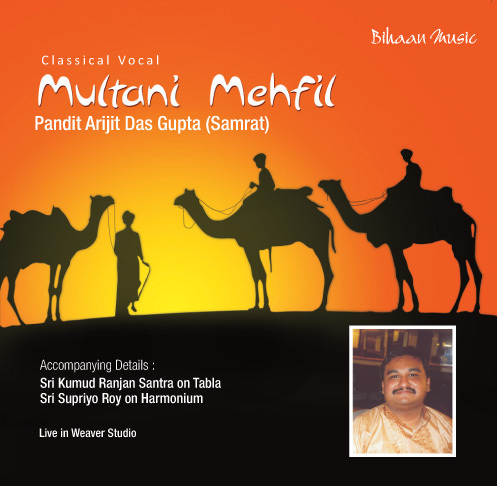 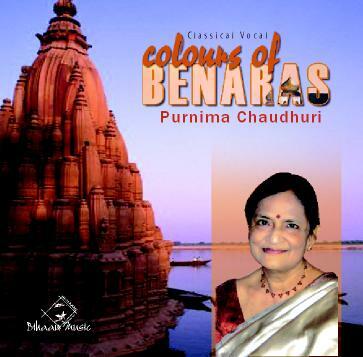 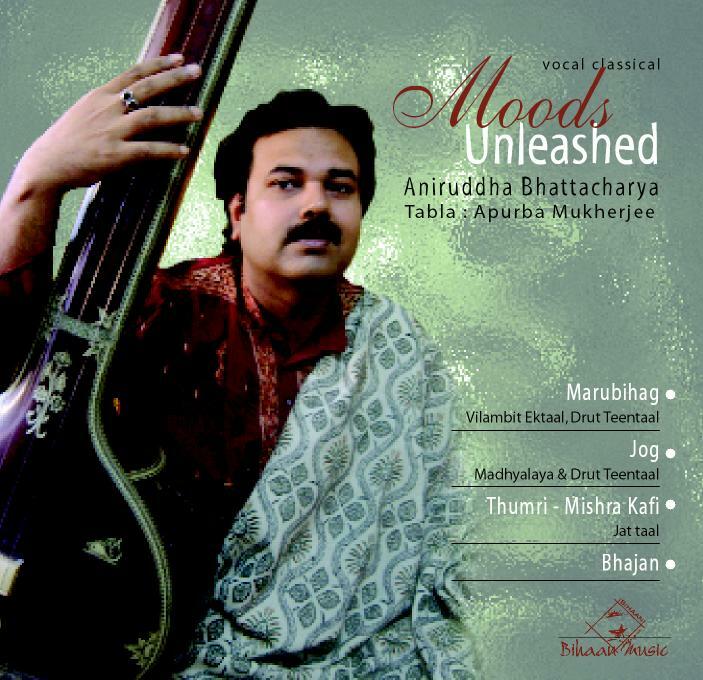 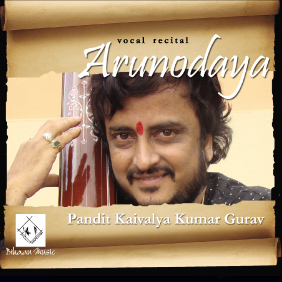 A noteworthy recording is the famous Darbari Kanara ‘Tarana’ of Amir Khusrau, recorded at HMV studio, Bombay, for the album “Multifaceted genius of Amir Khusrau”. 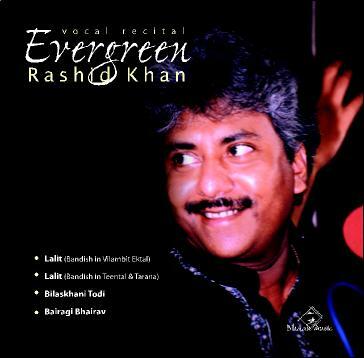 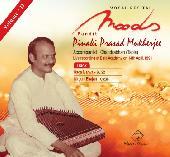 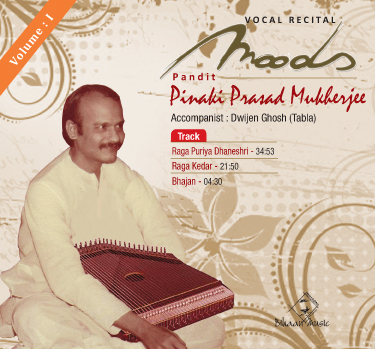 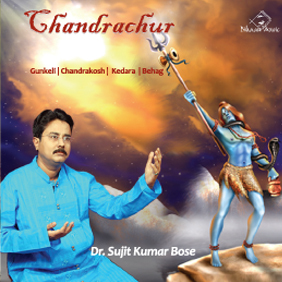 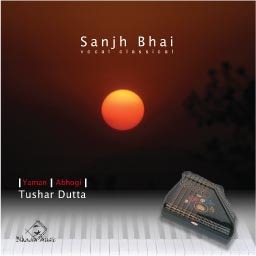 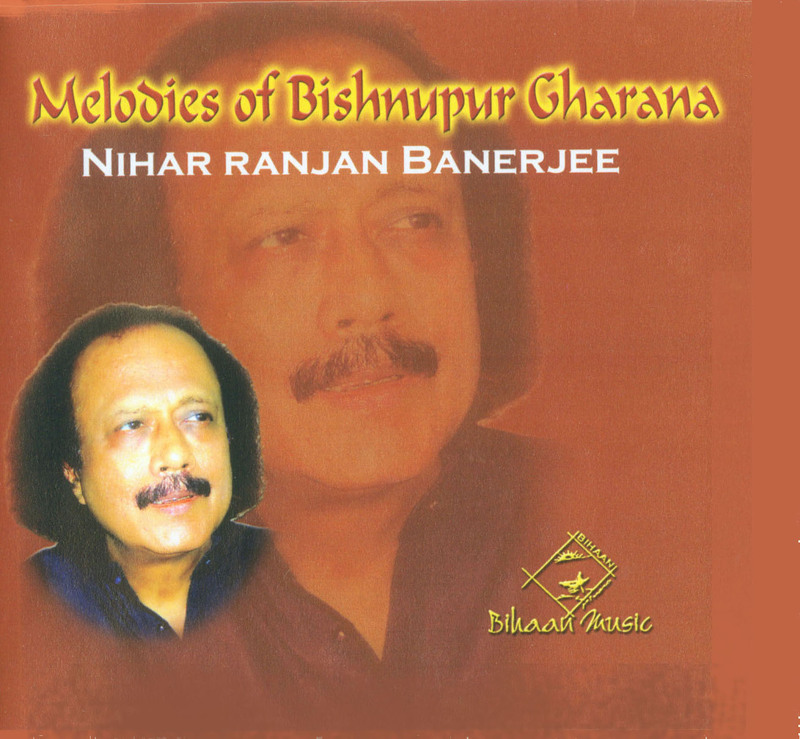 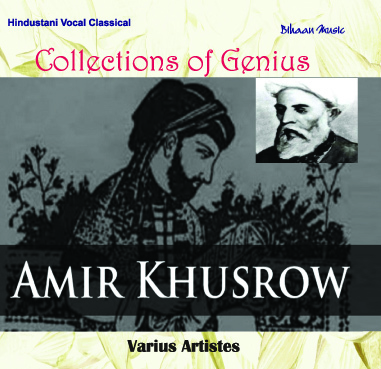 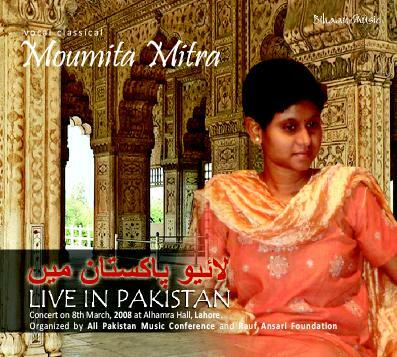 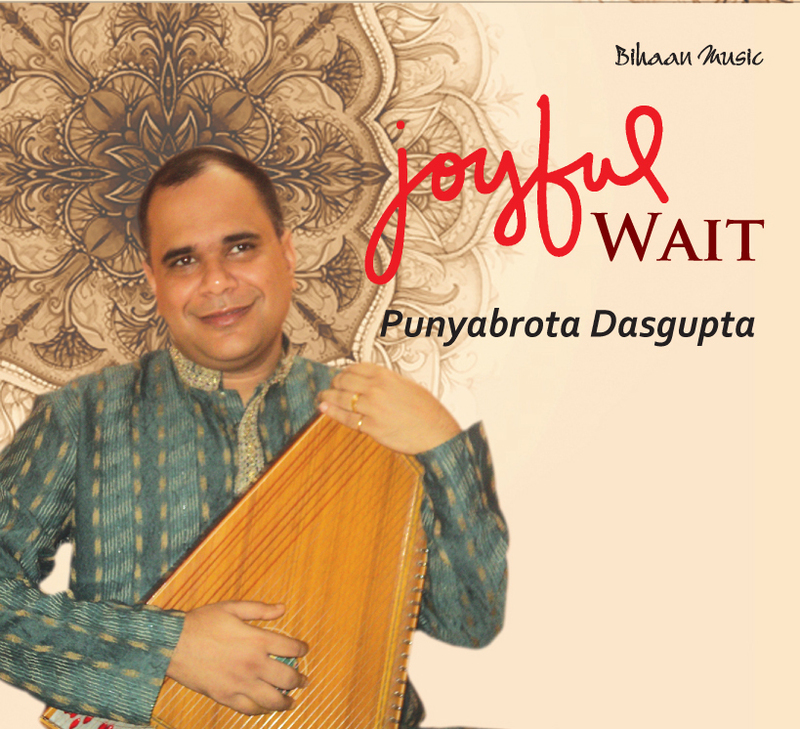 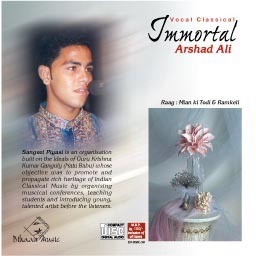 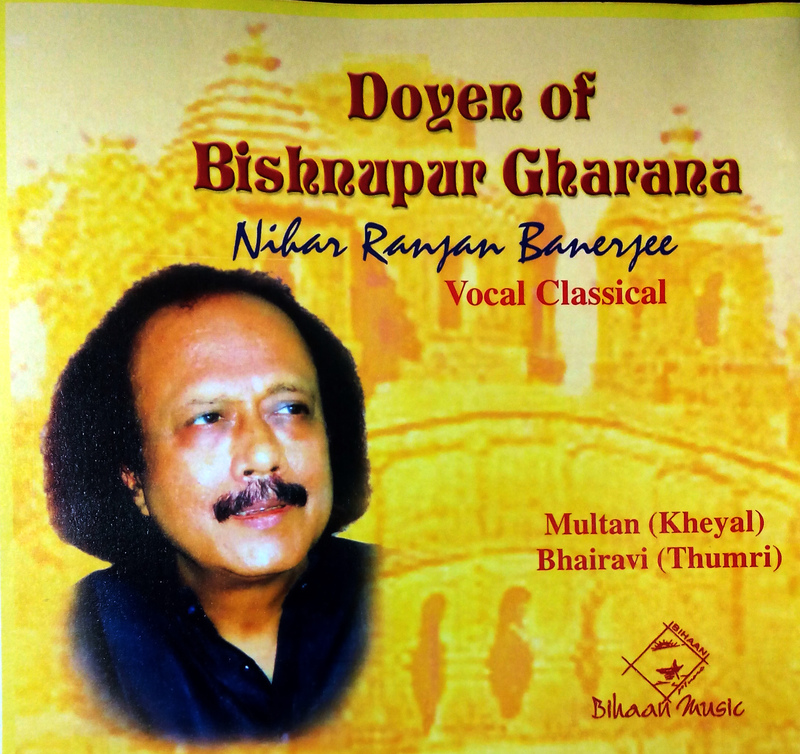 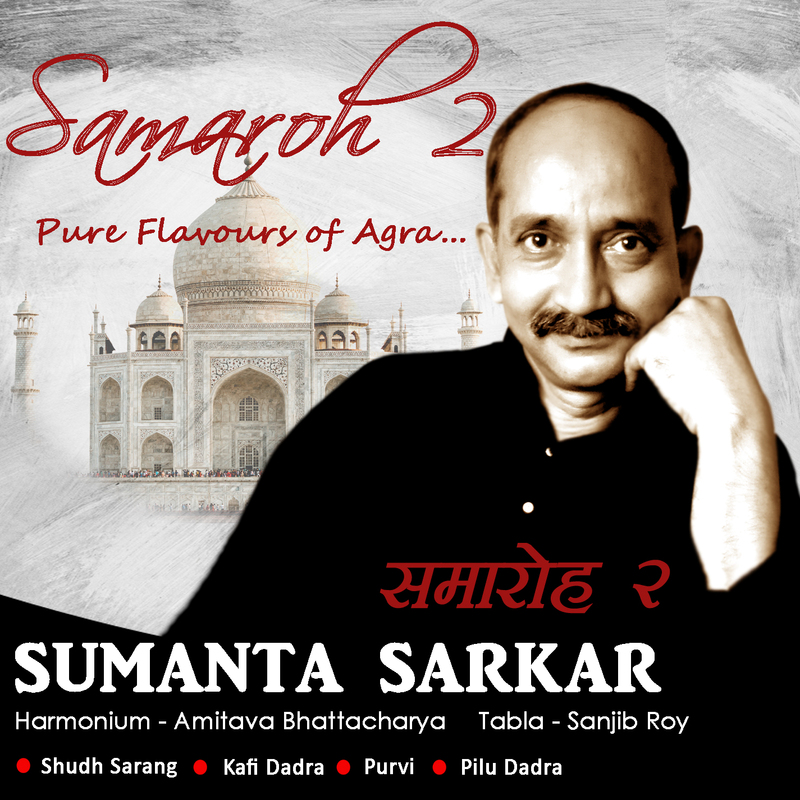 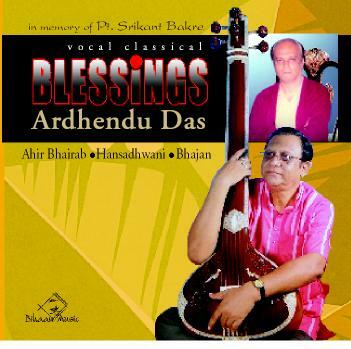 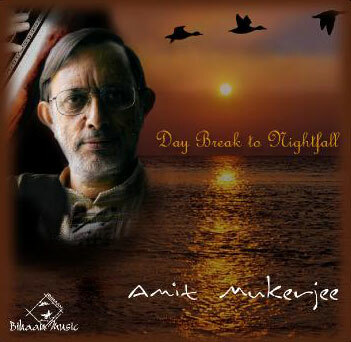 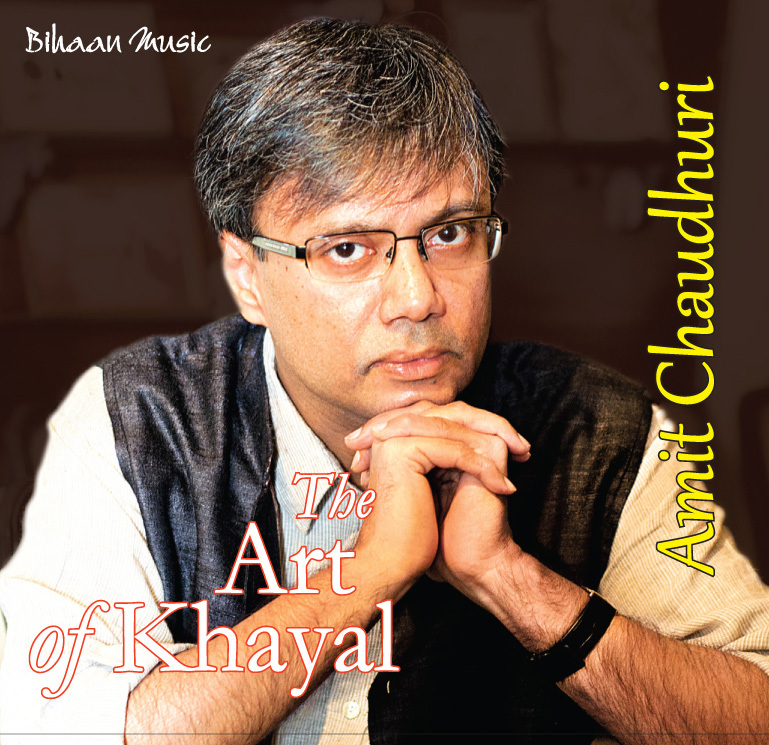 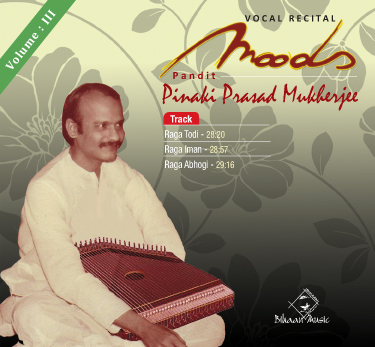 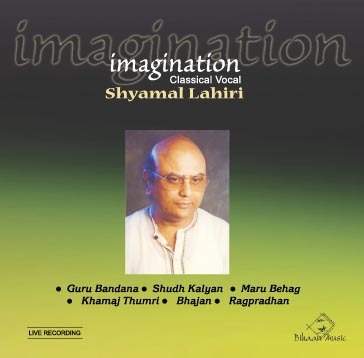 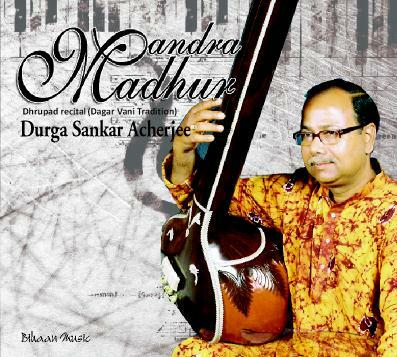 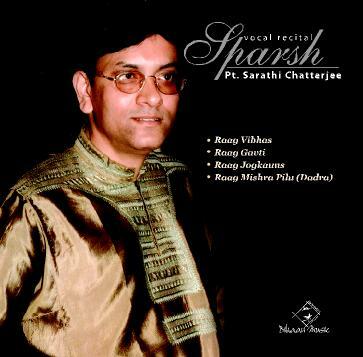 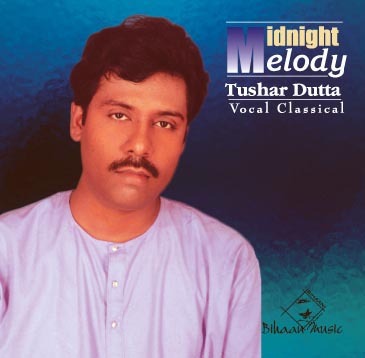 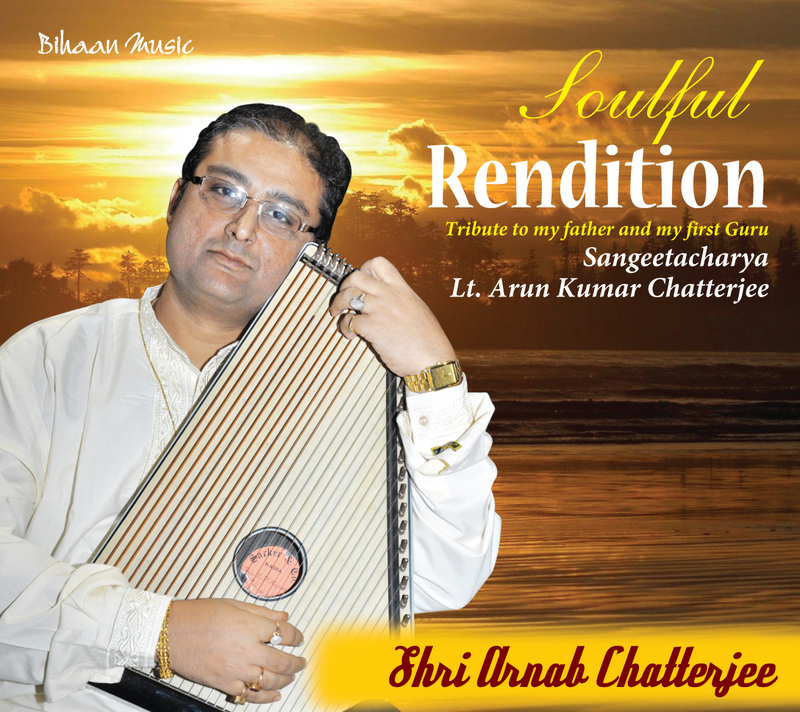 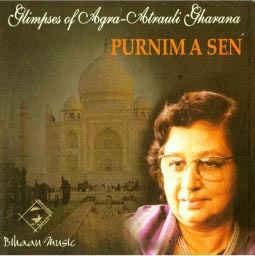 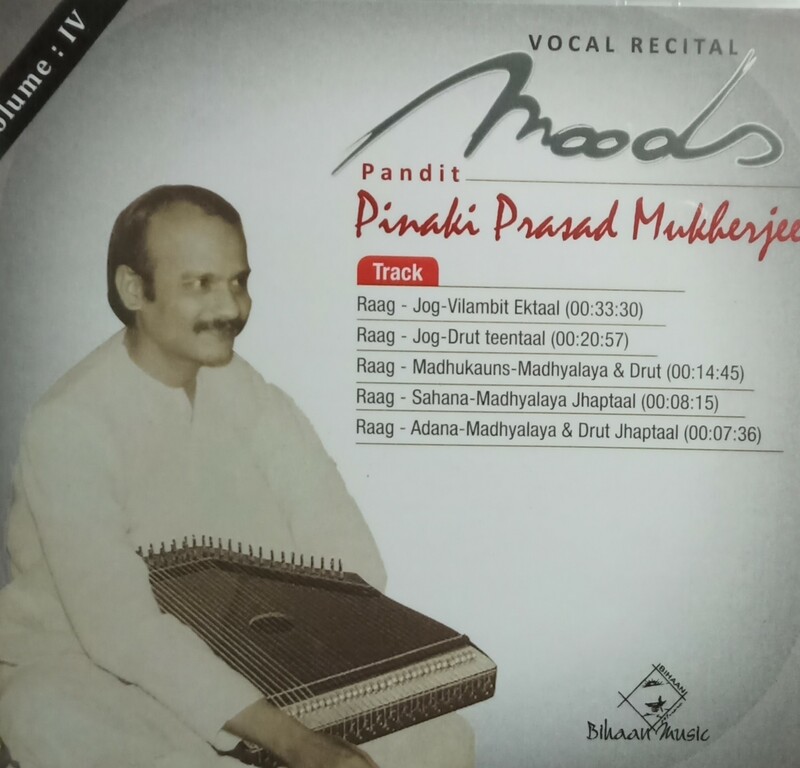 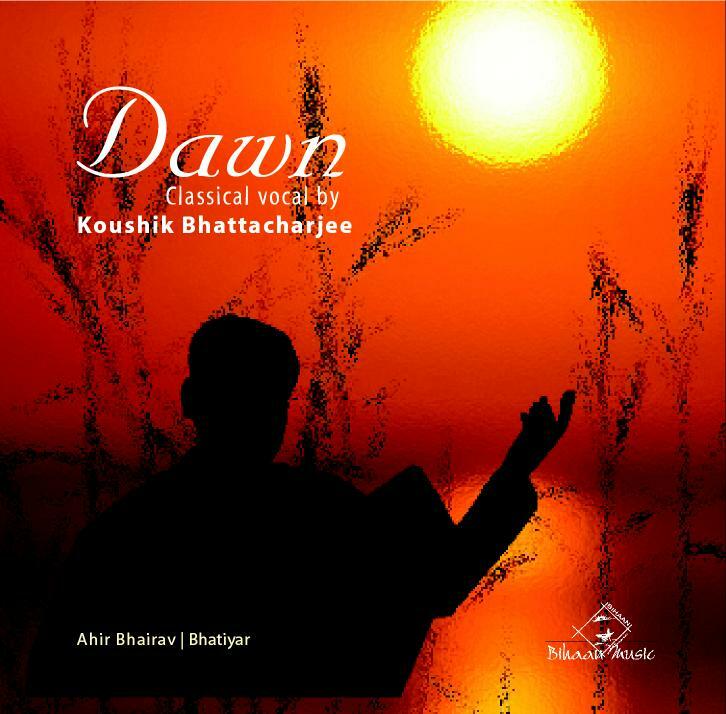 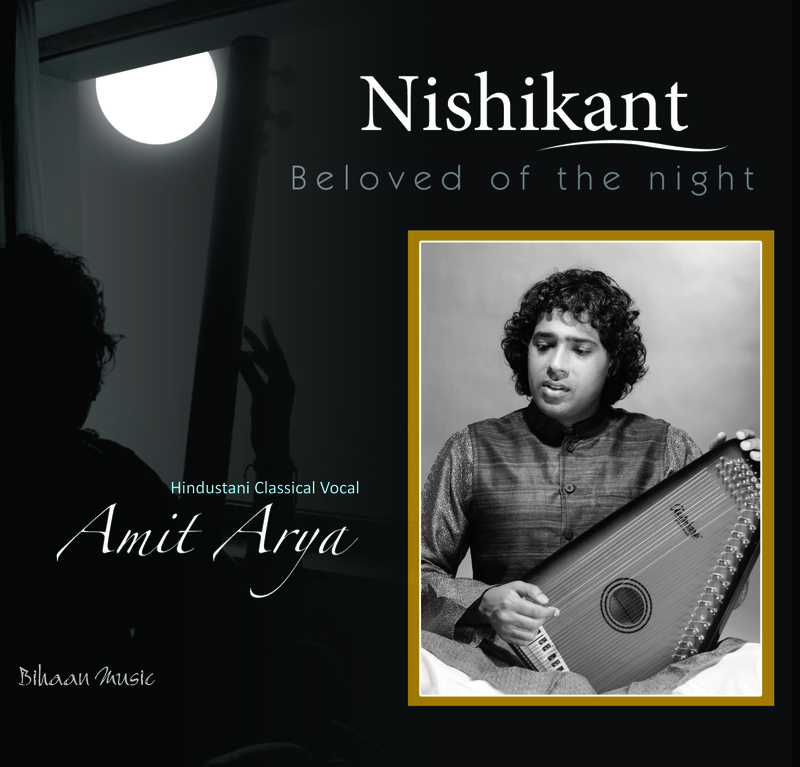 The album was published on the occasion of the 7th centenary celebration of the poet Amir Khusrau. 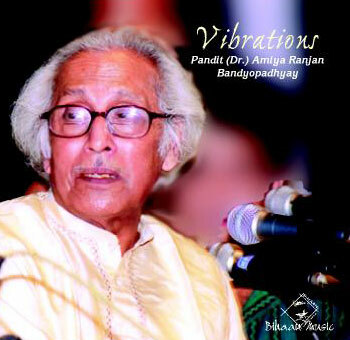 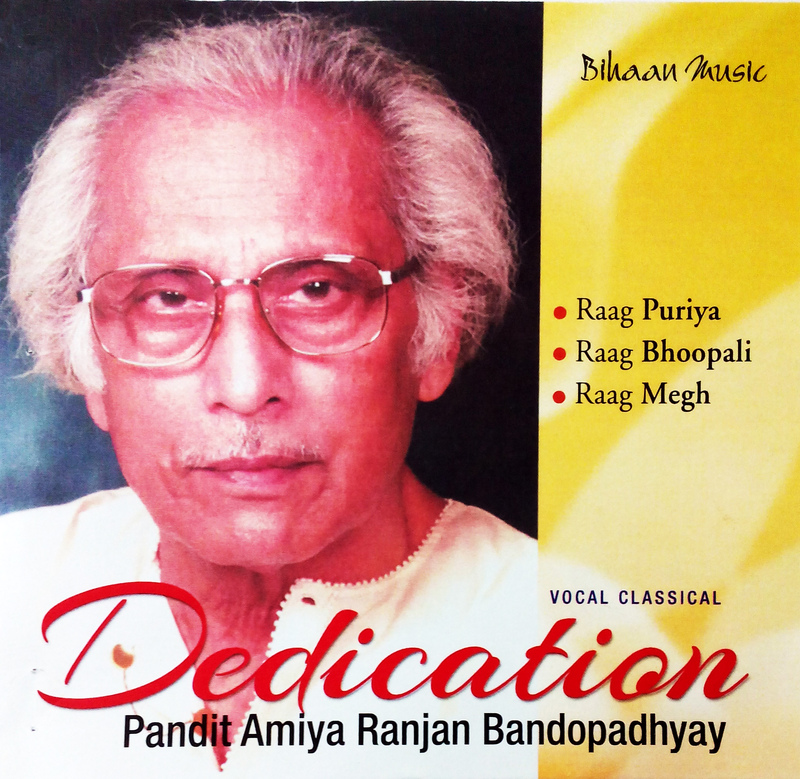 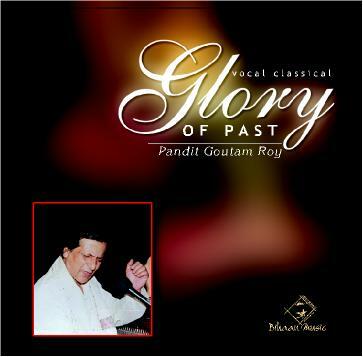 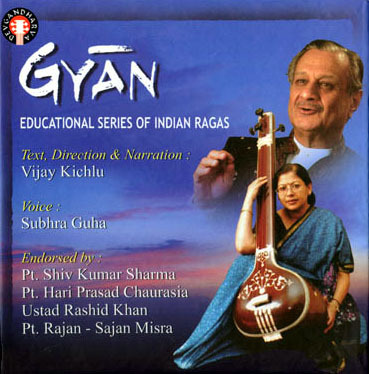 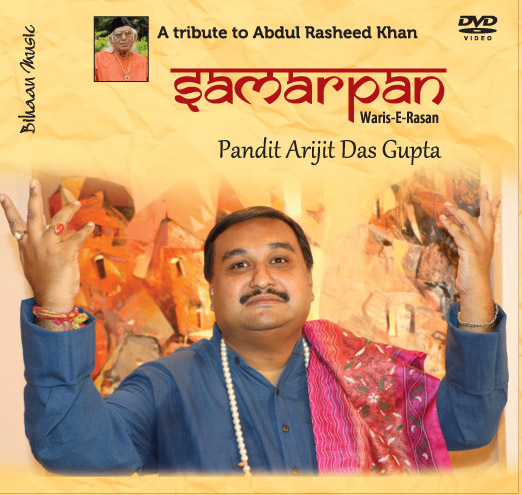 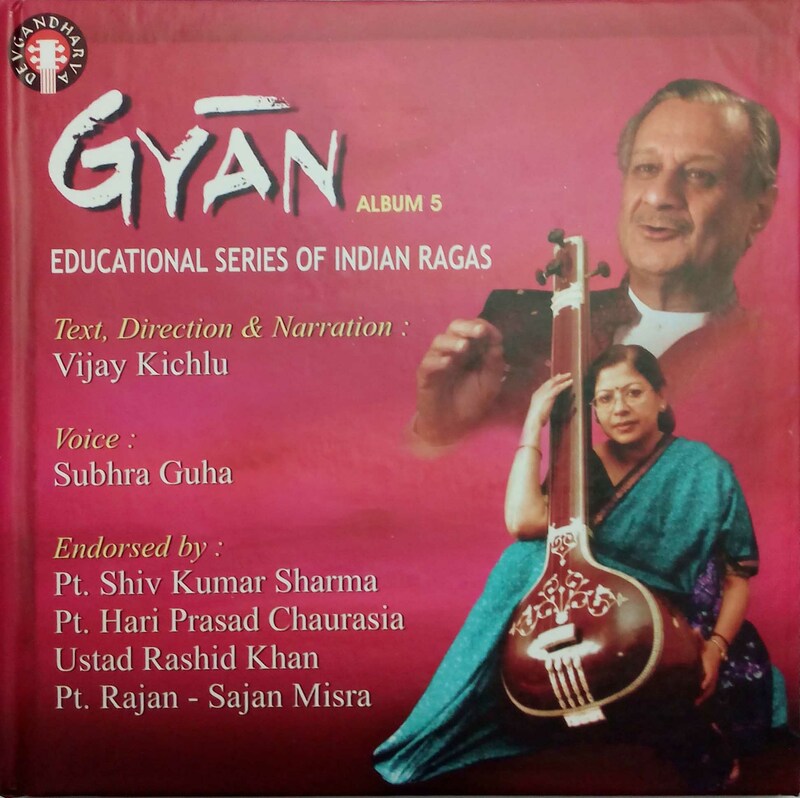 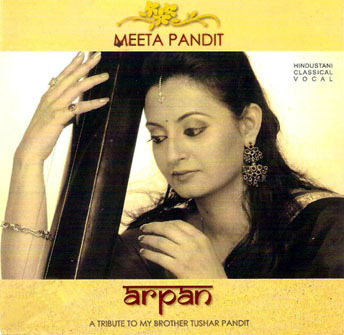 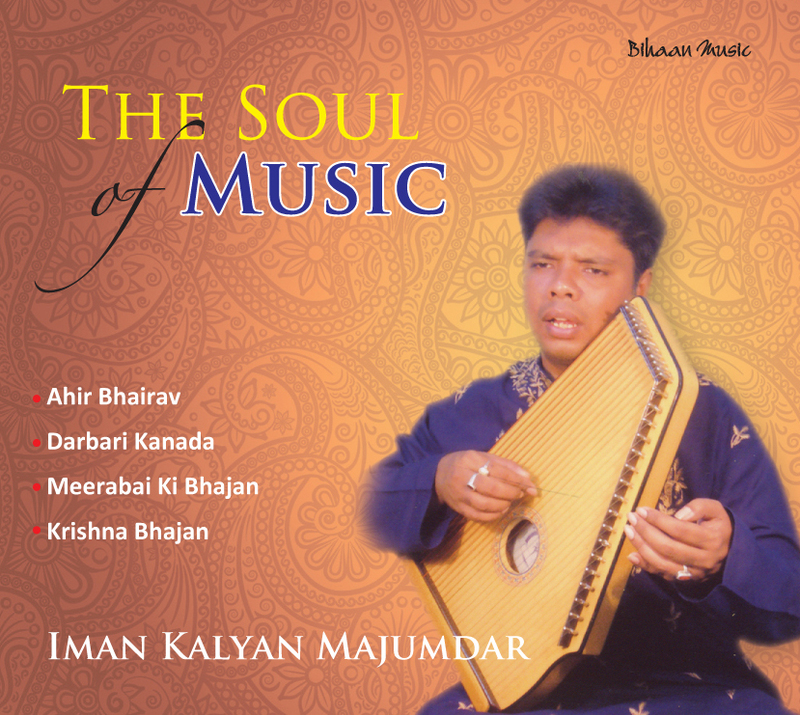 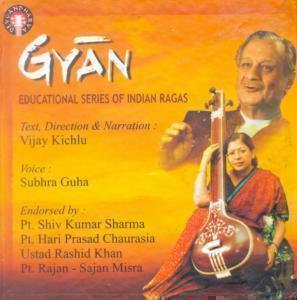 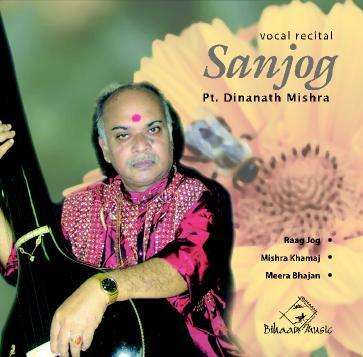 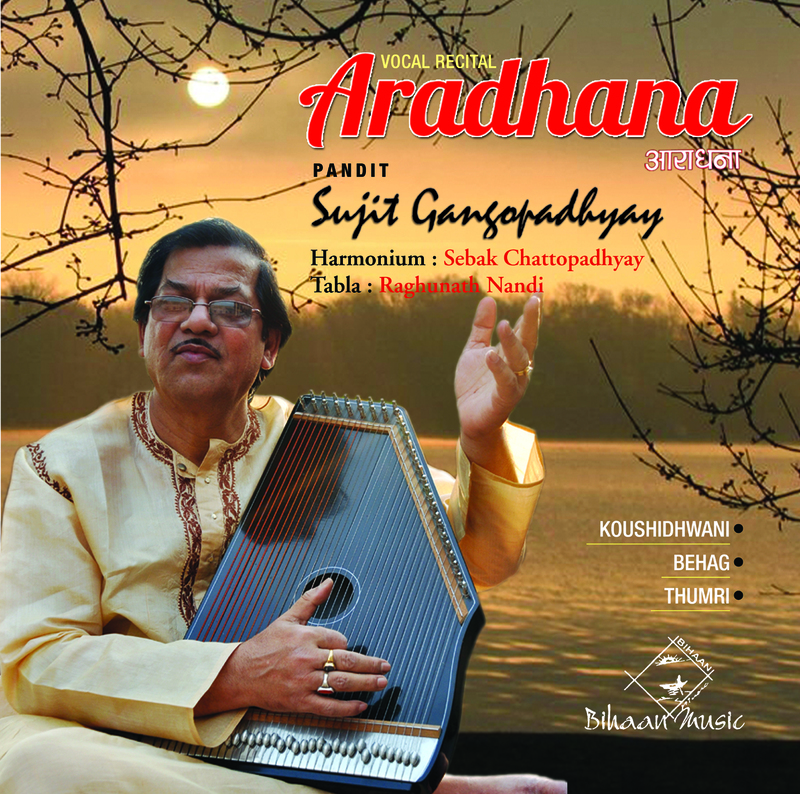 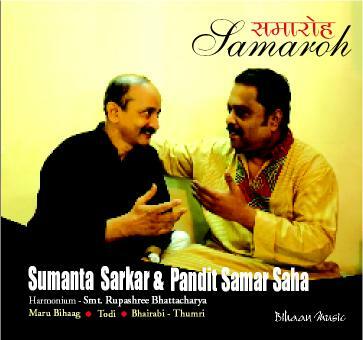 After the untimely demise of Ustad Amir Khan, Kankana was guided by Pandit Pratap Narain of the Mewati Gharana. 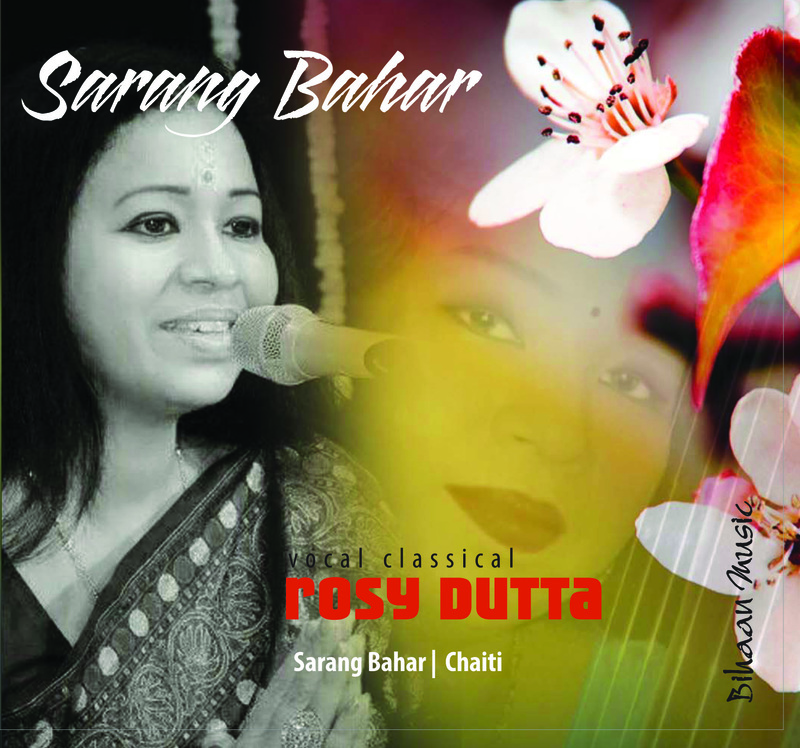 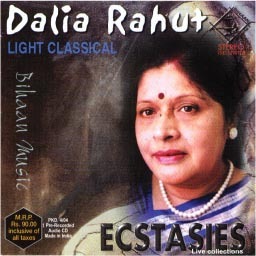 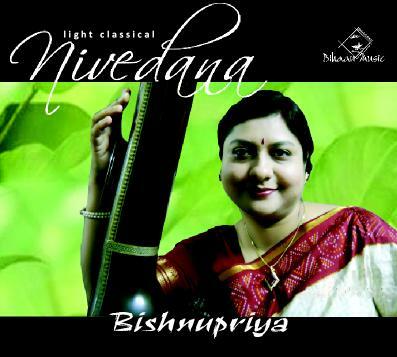 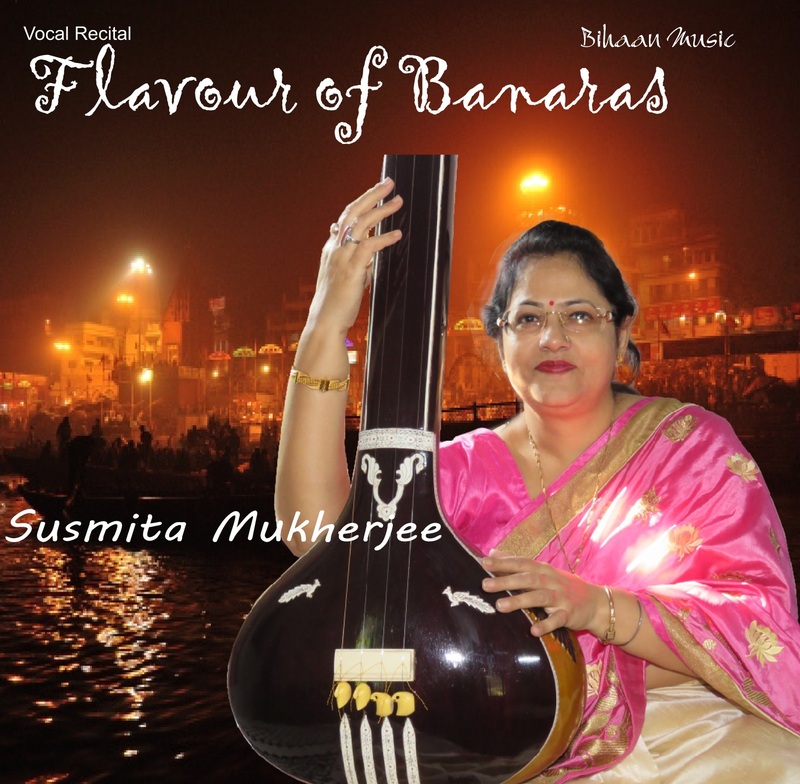 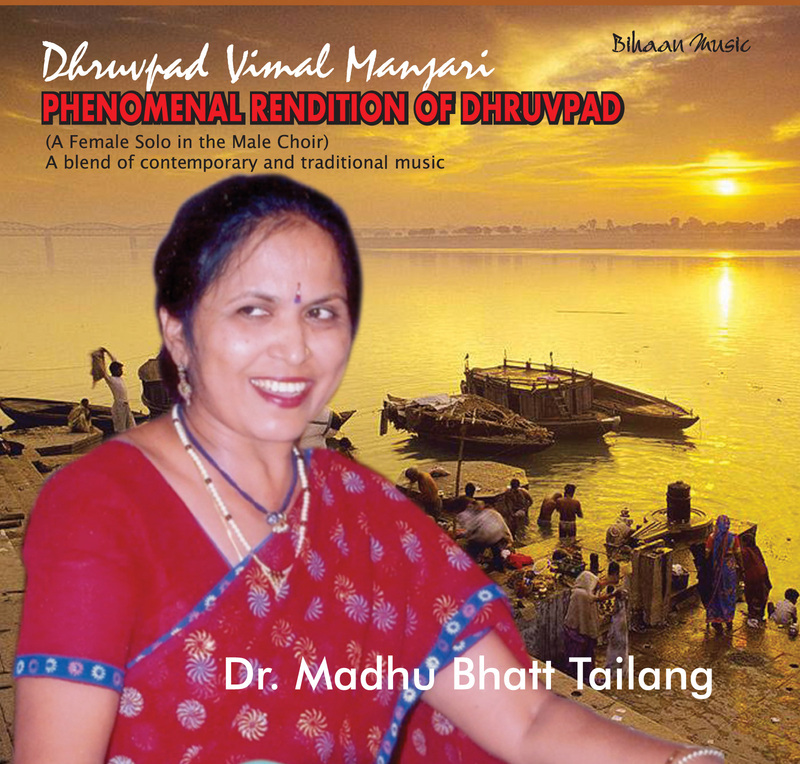 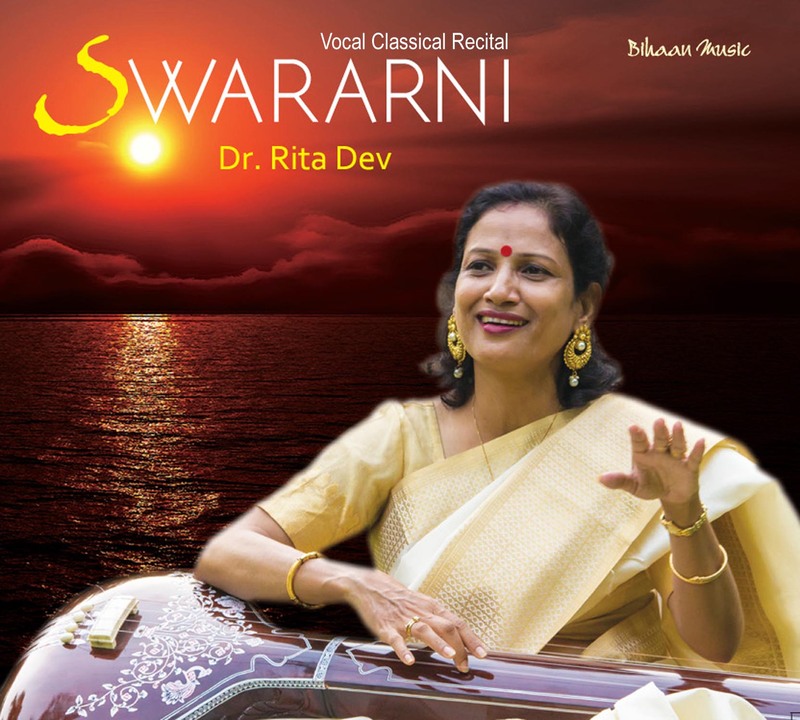 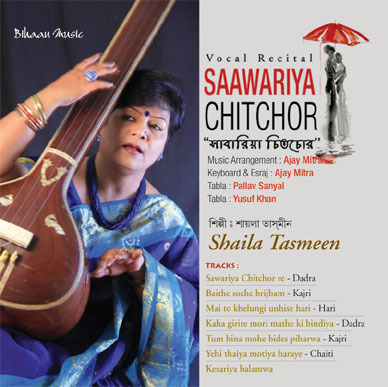 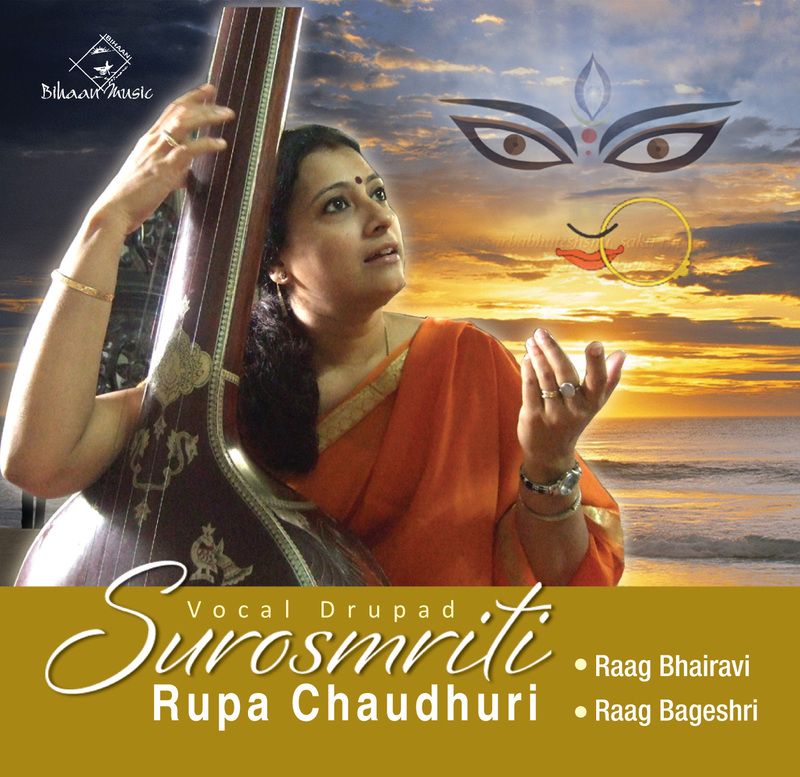 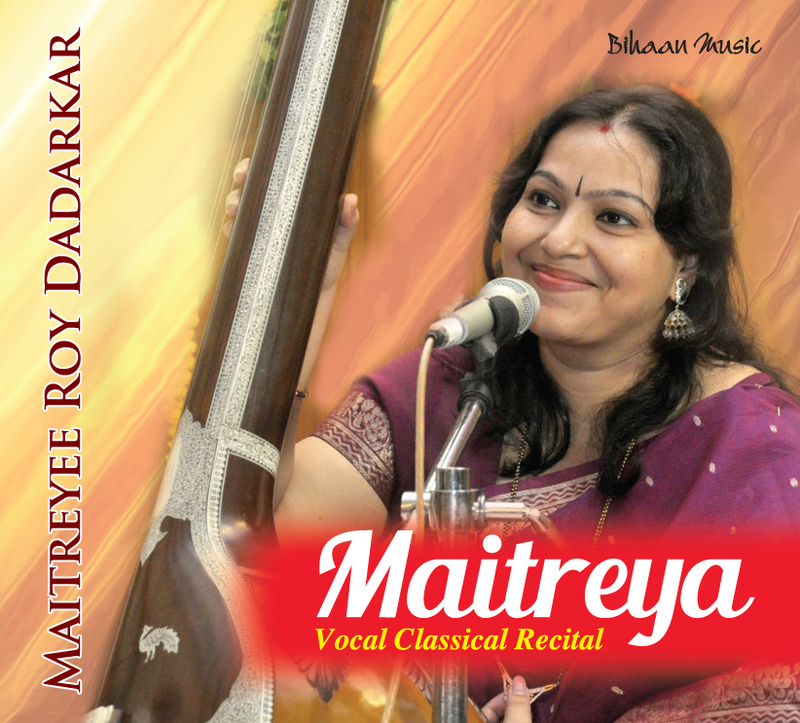 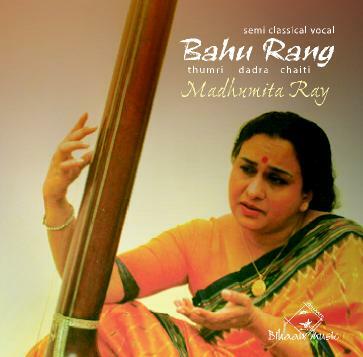 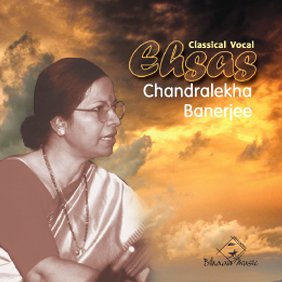 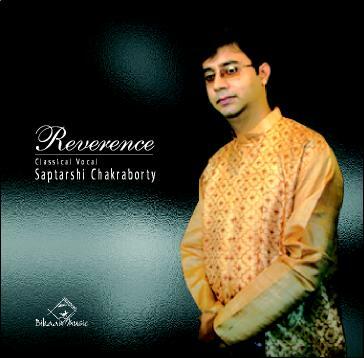 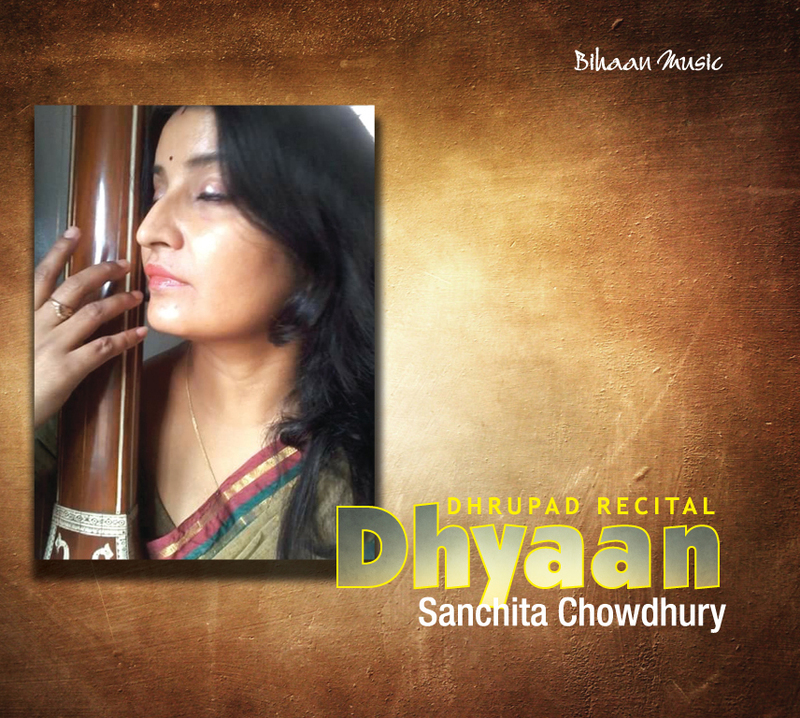 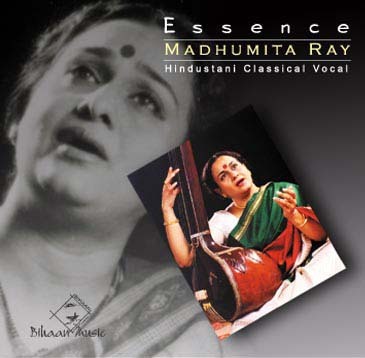 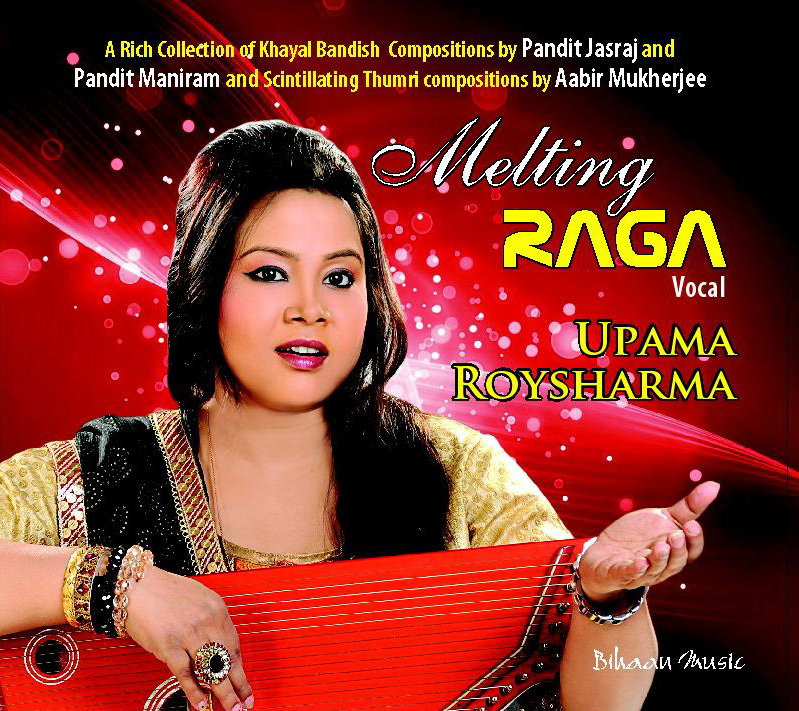 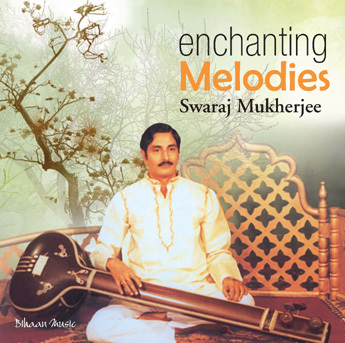 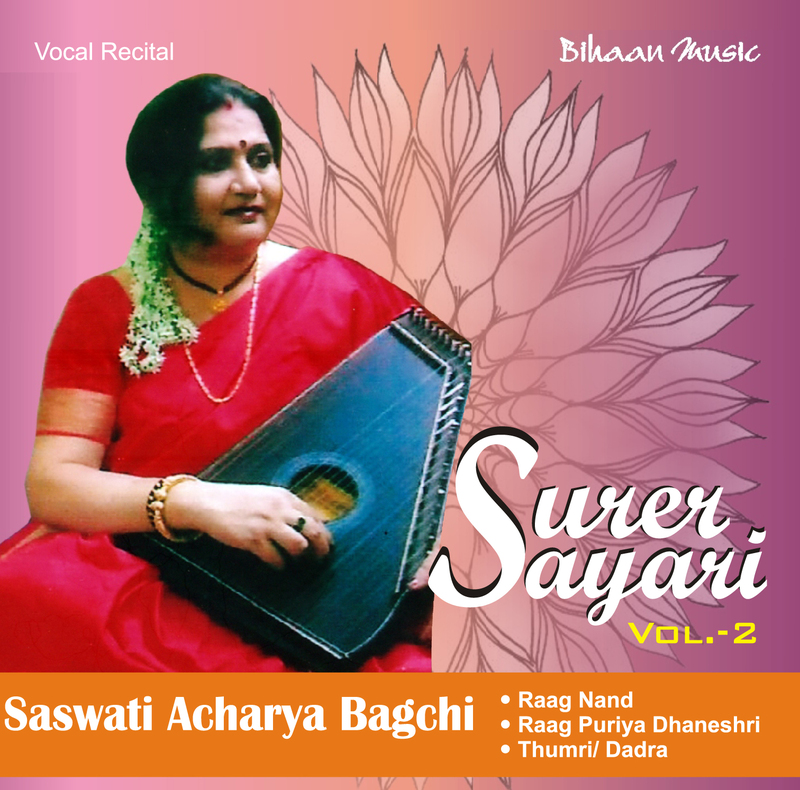 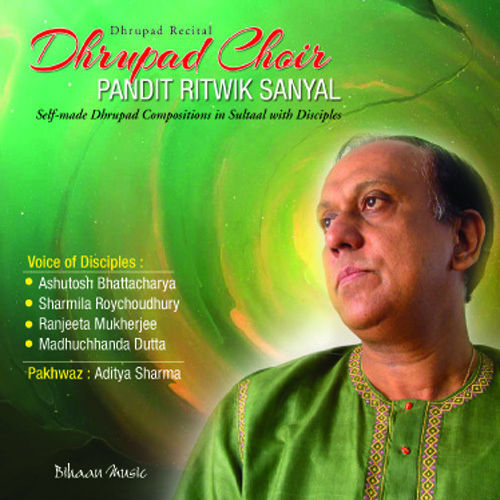 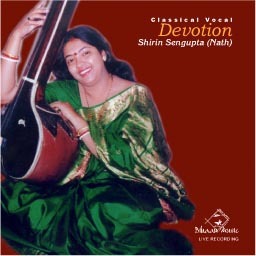 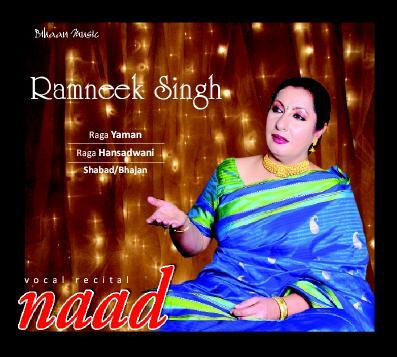 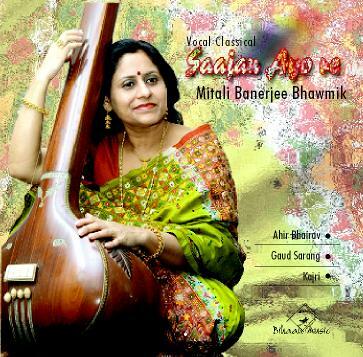 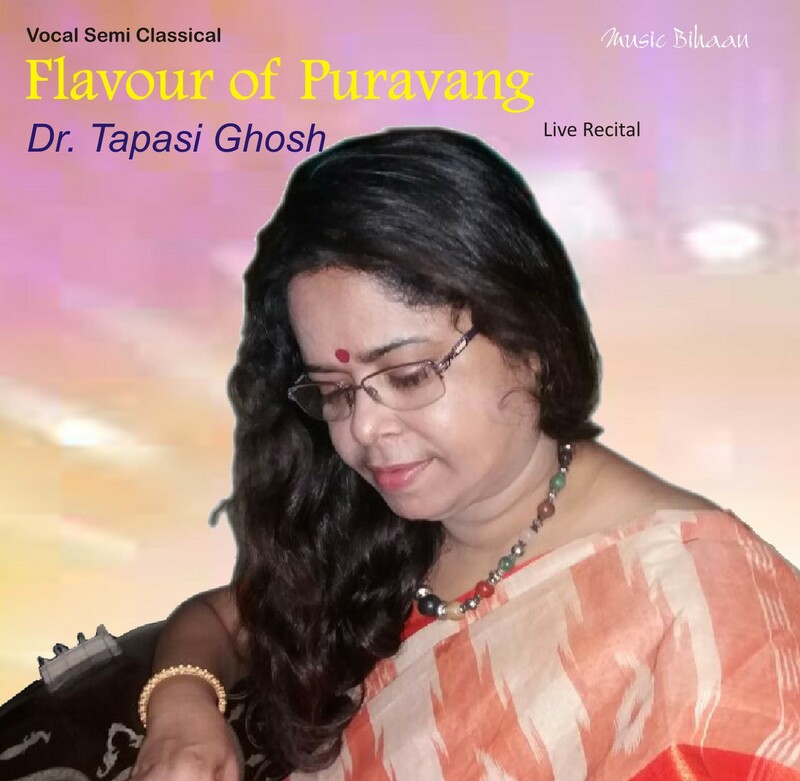 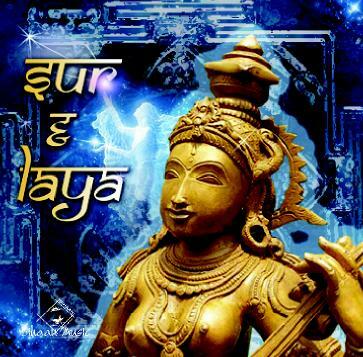 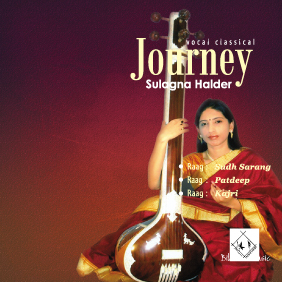 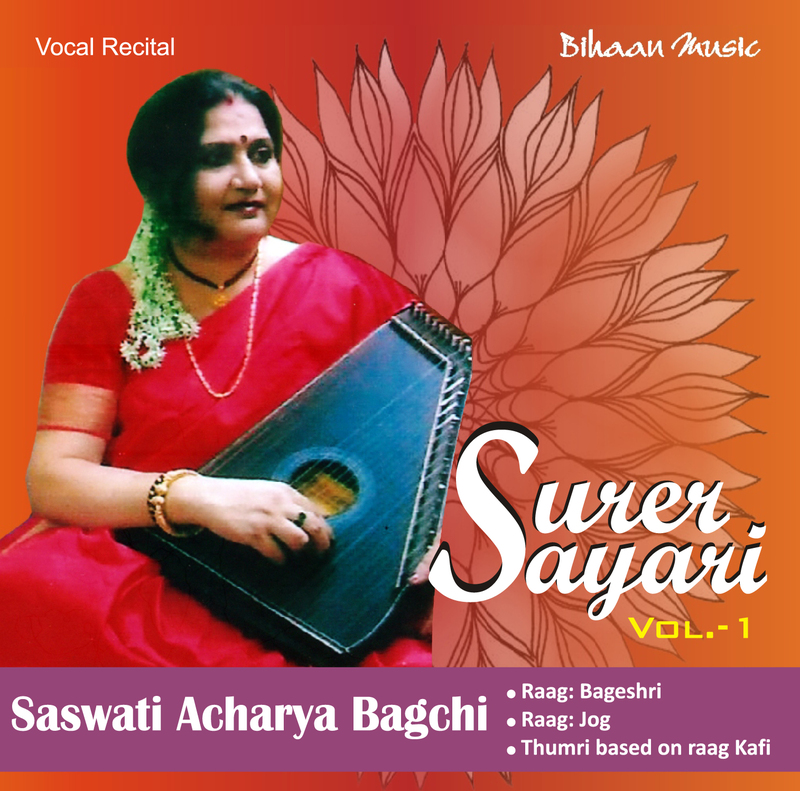 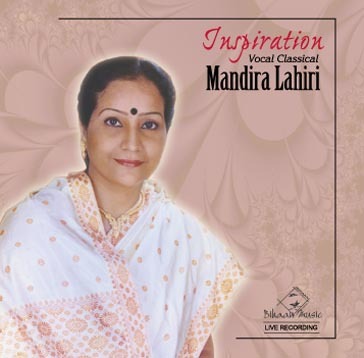 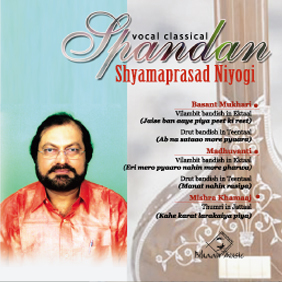 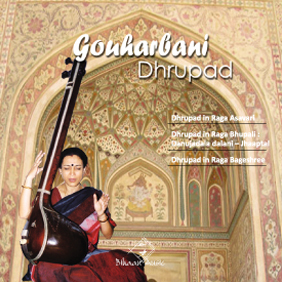 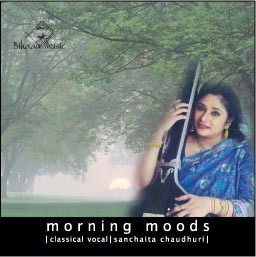 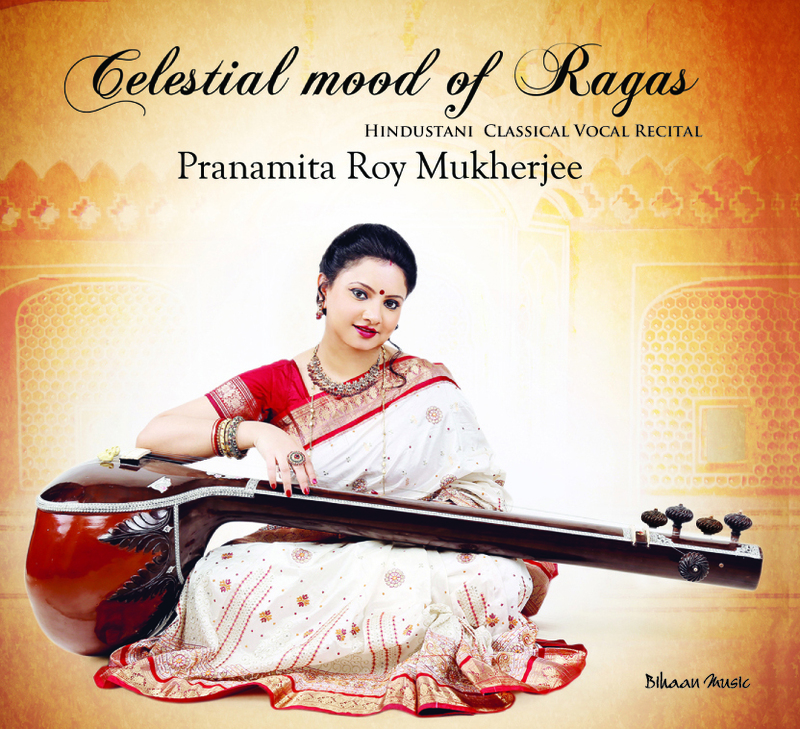 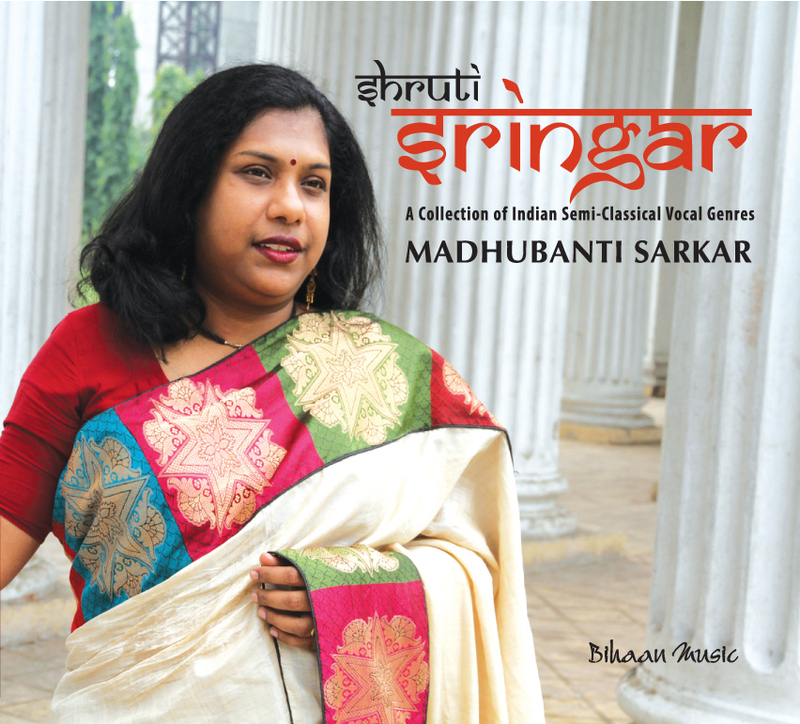 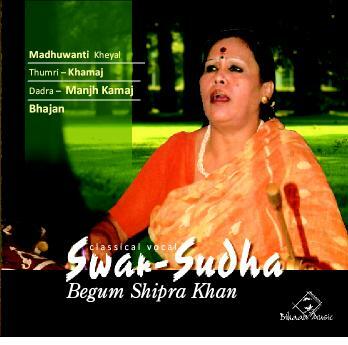 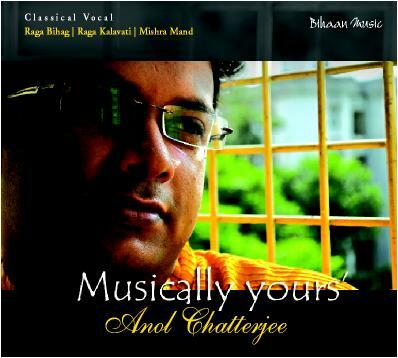 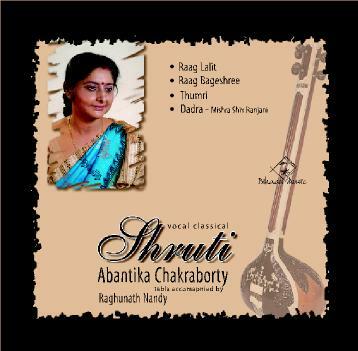 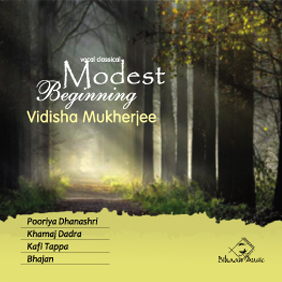 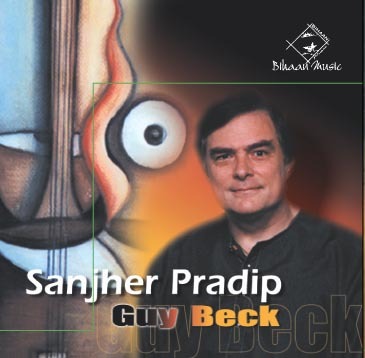 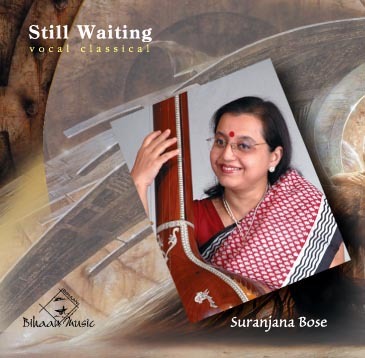 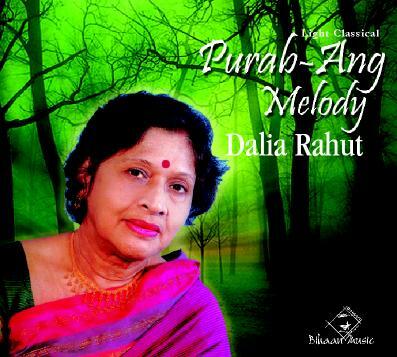 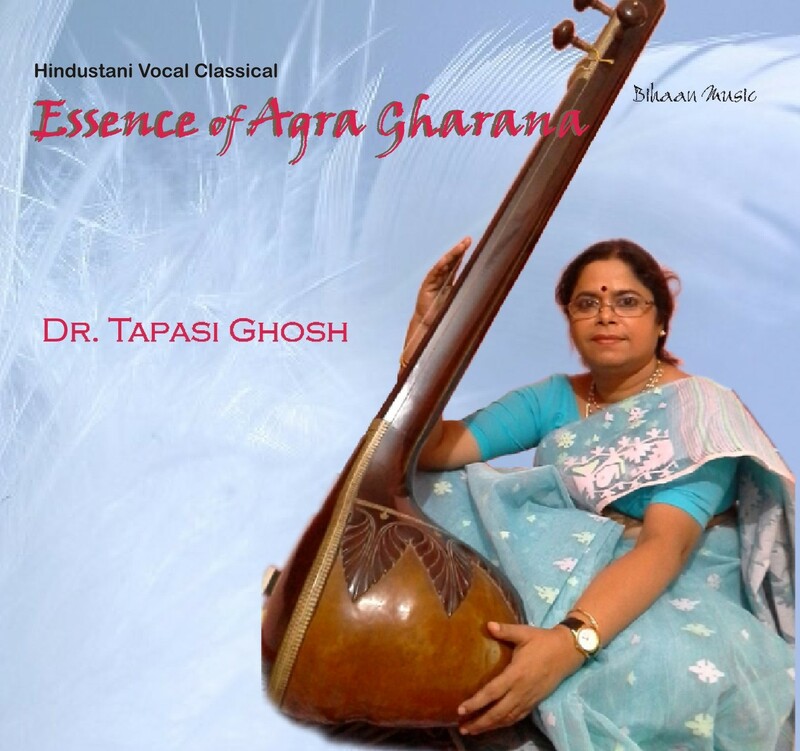 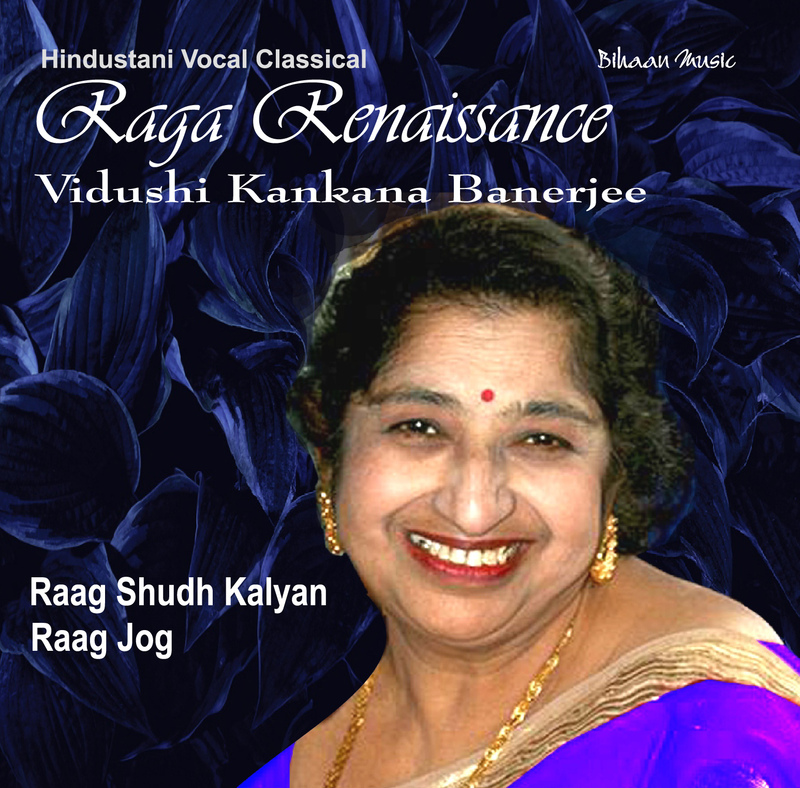 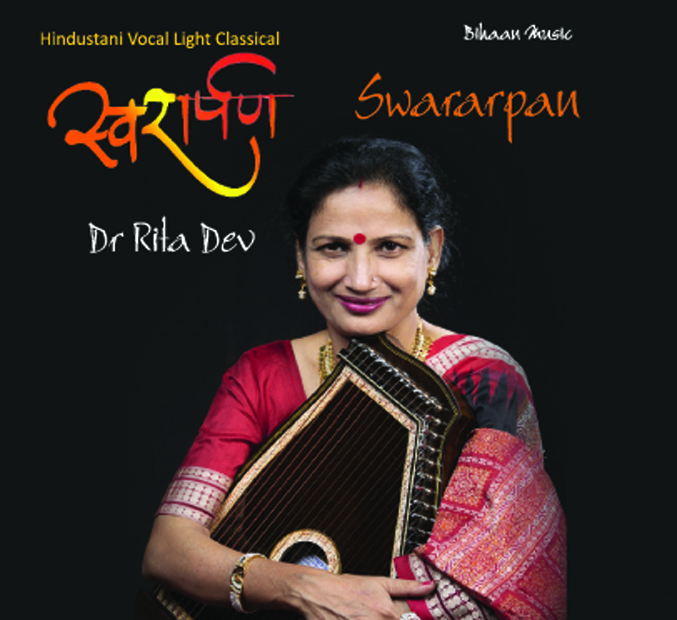 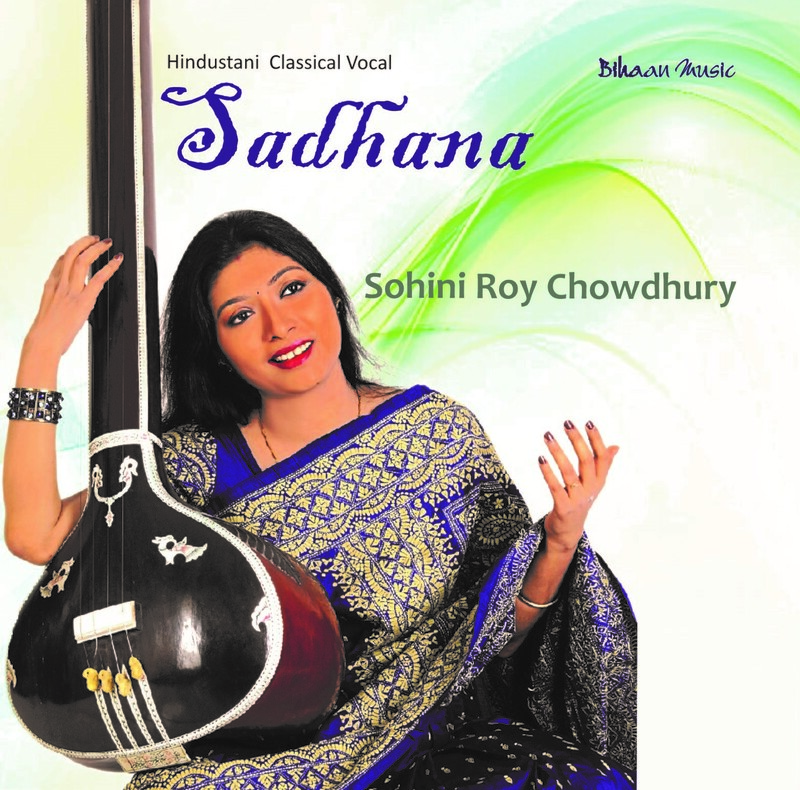 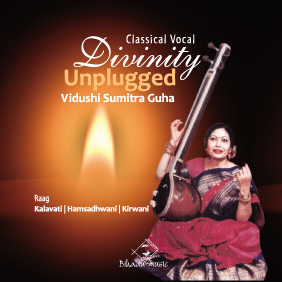 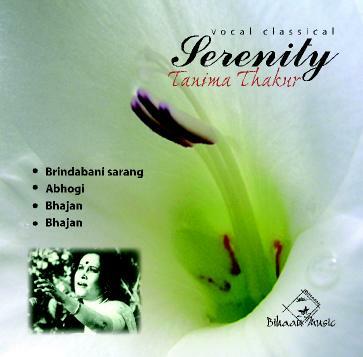 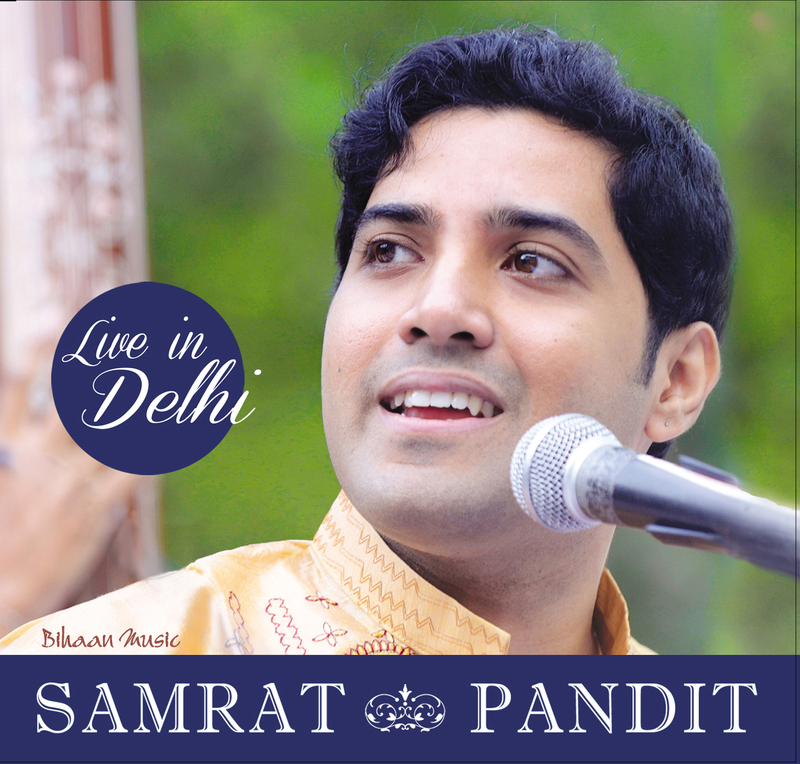 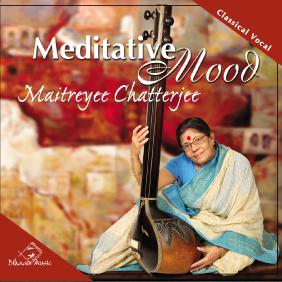 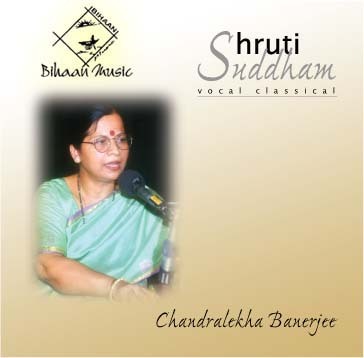 She has now established herself as one of the leading exponents of classical music in India. 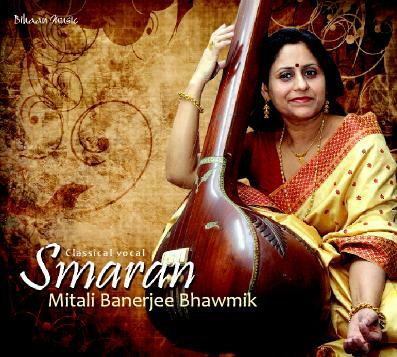 She is the recipient of the Kala Saraswati, one of the most prestigious awards of the Government of Andhra Pradesh.